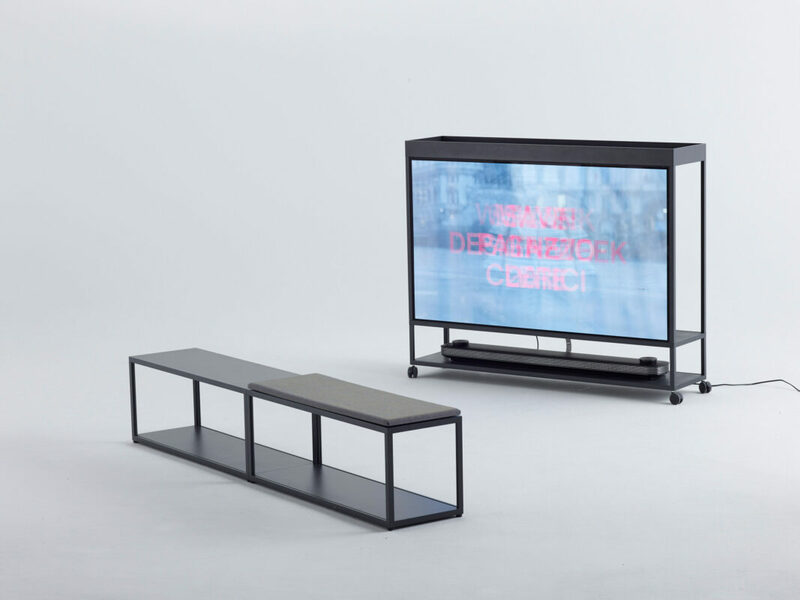 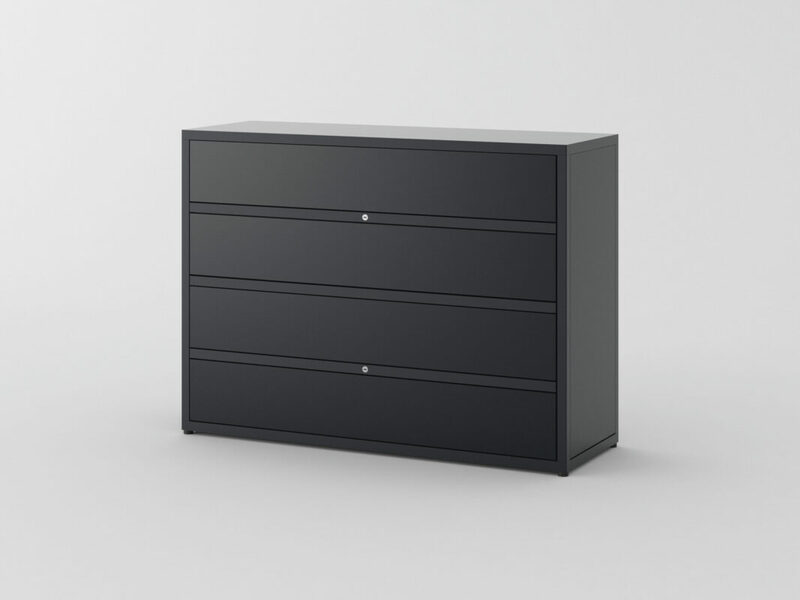 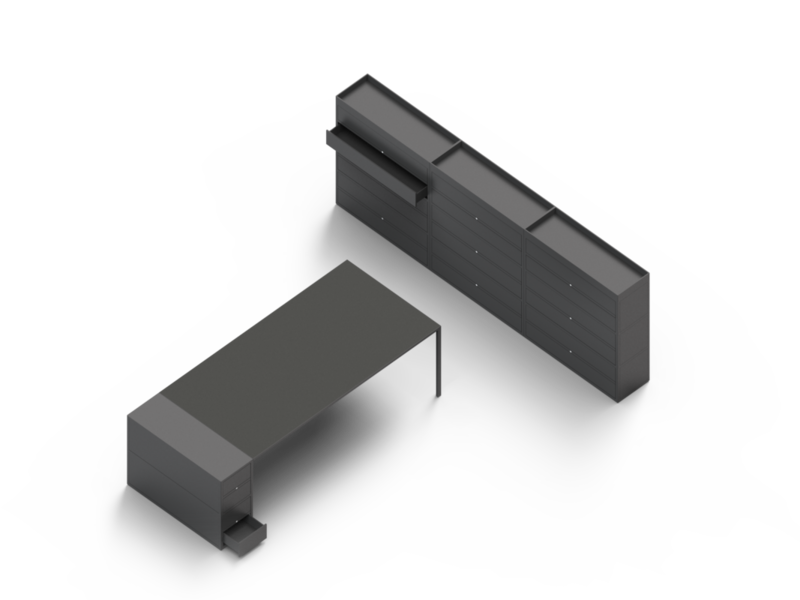 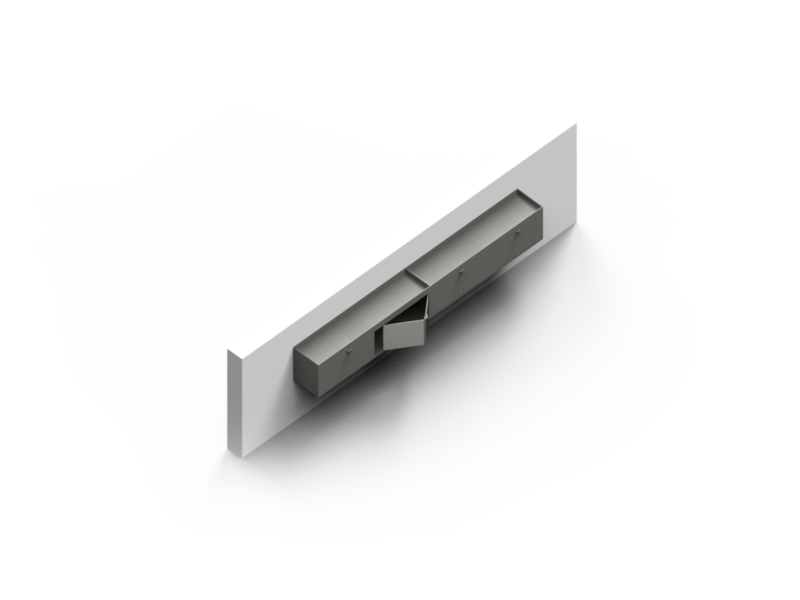 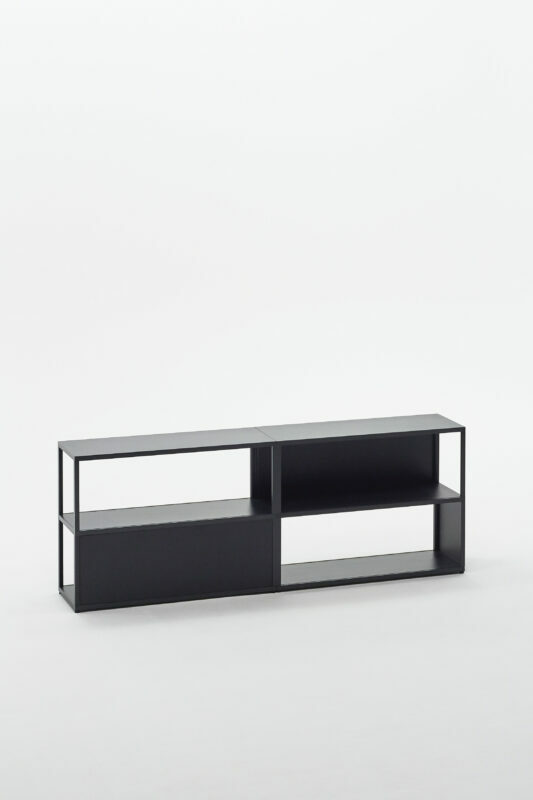 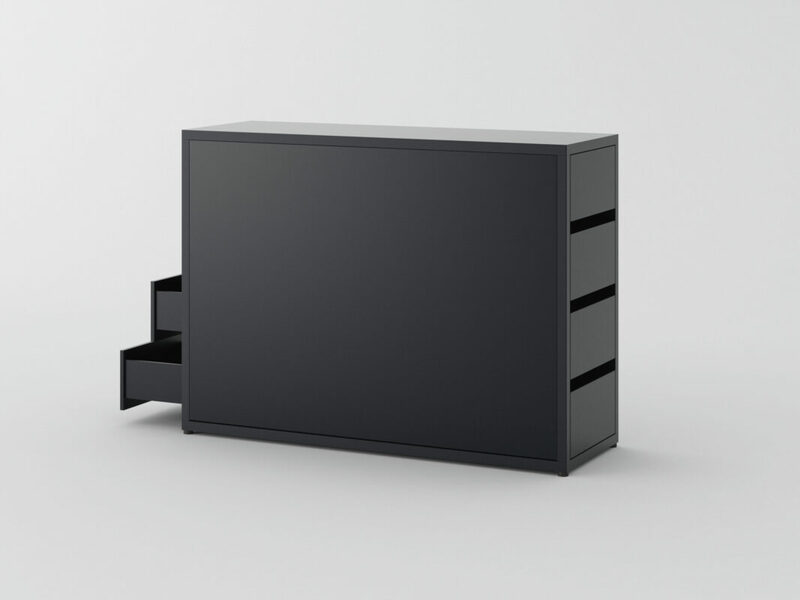 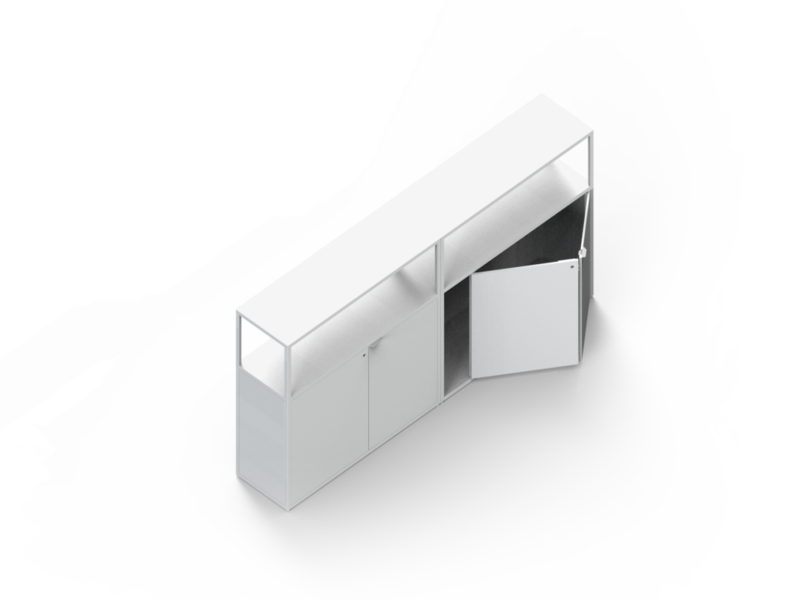 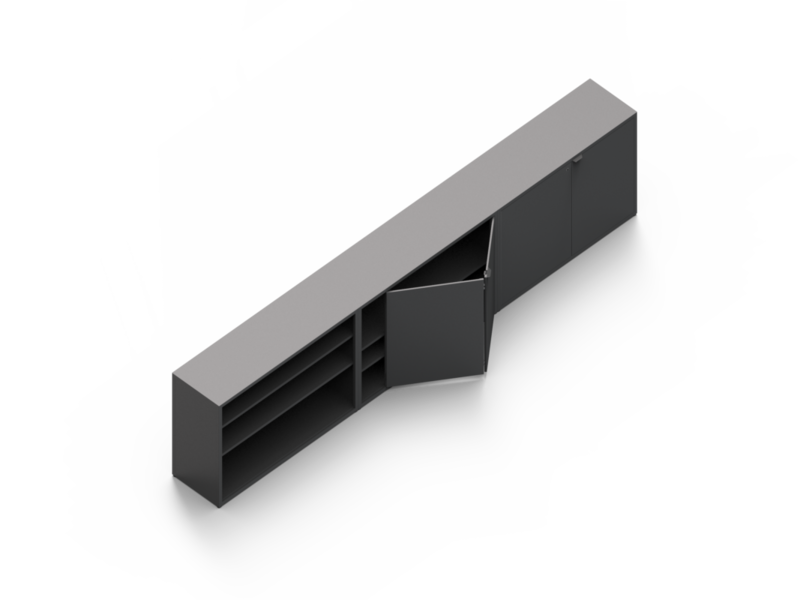 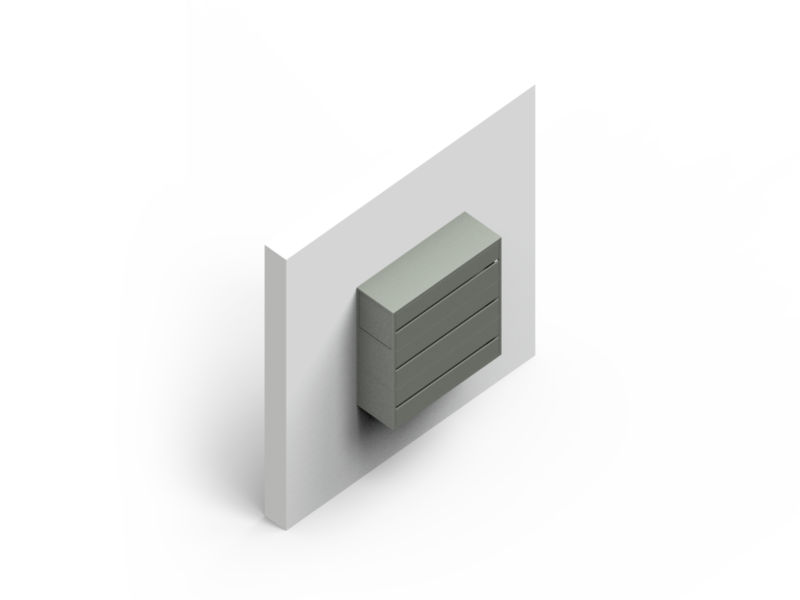 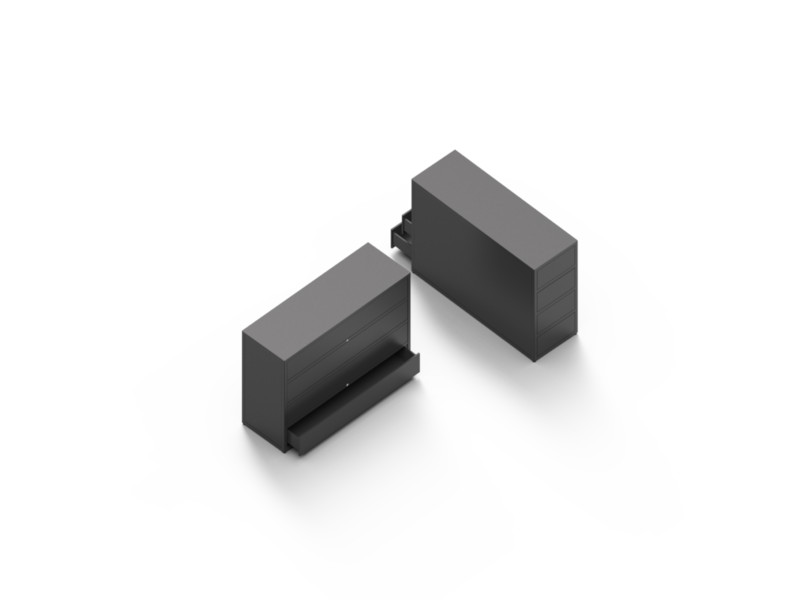 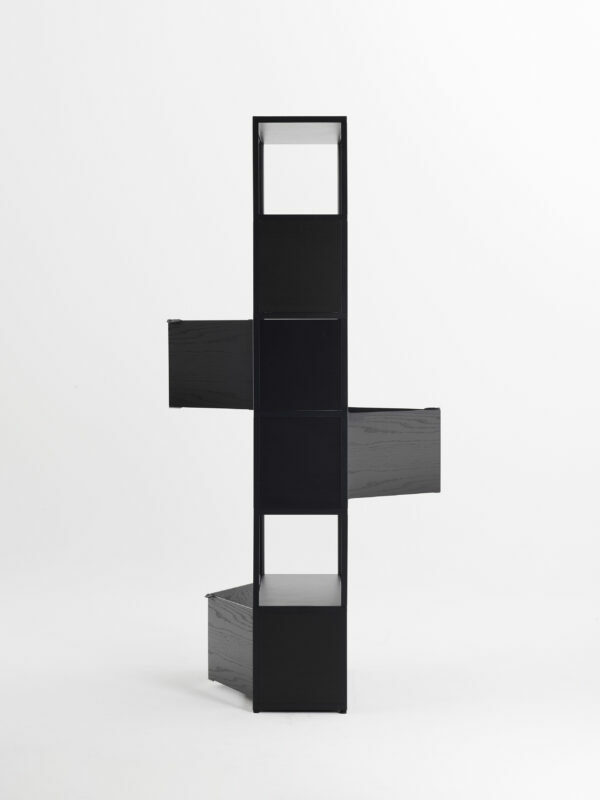 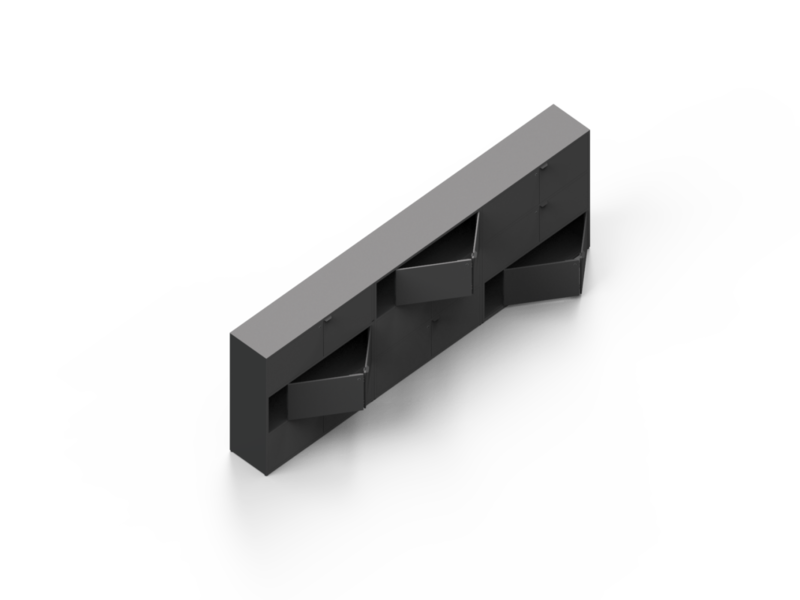 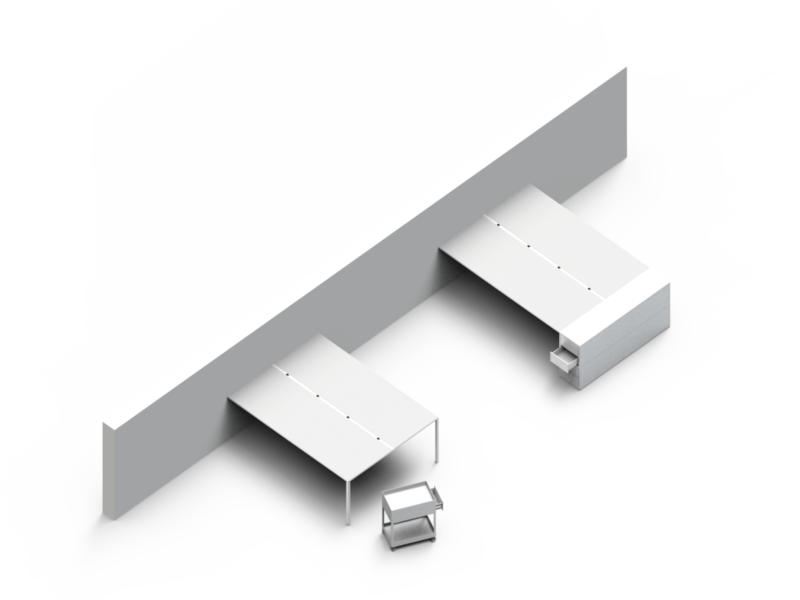 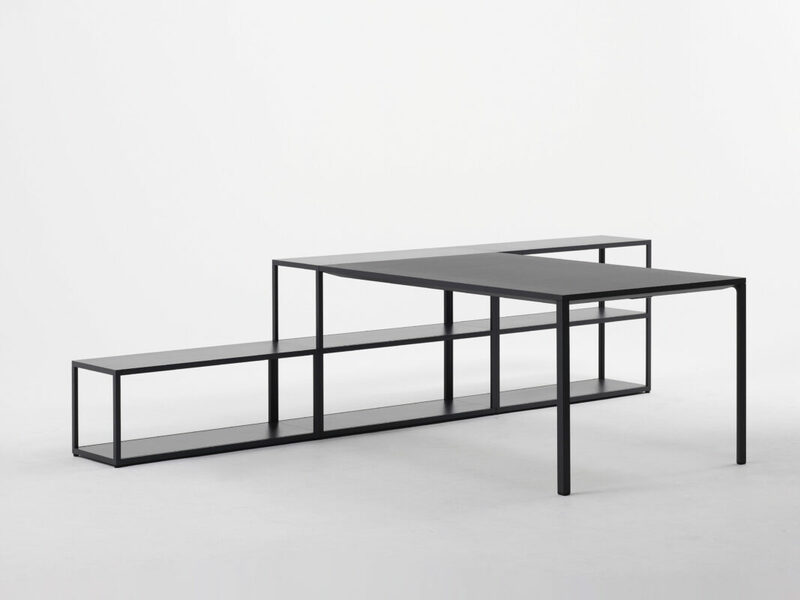 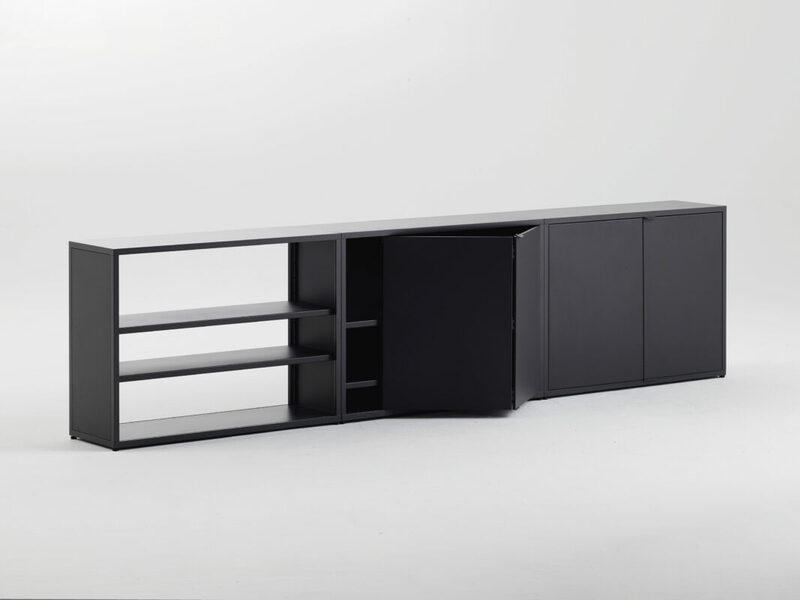 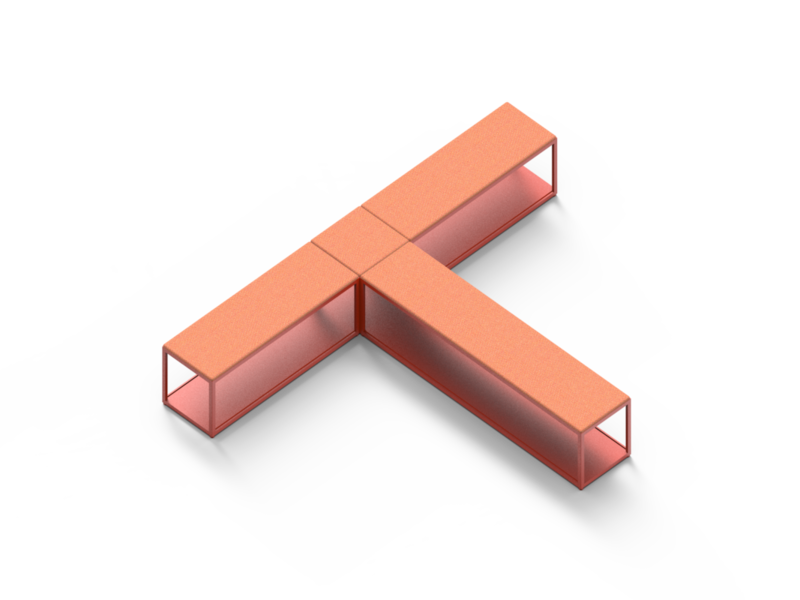 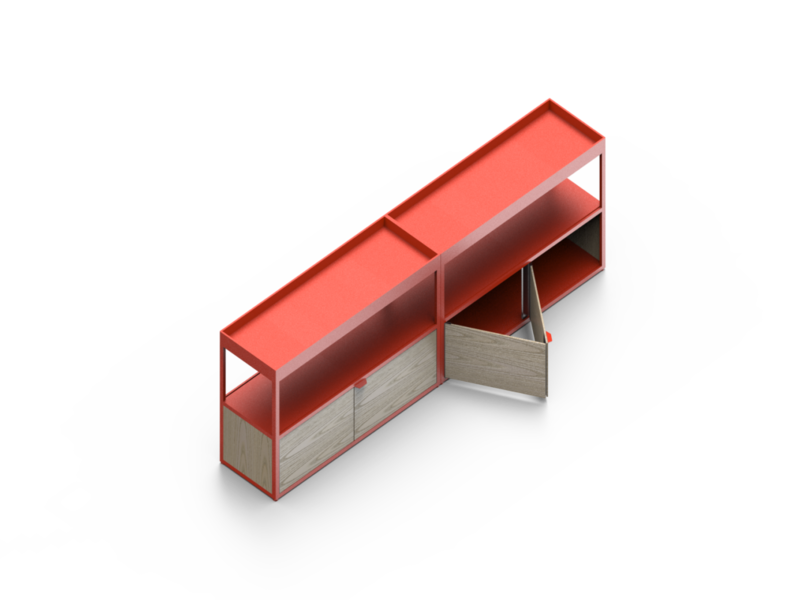 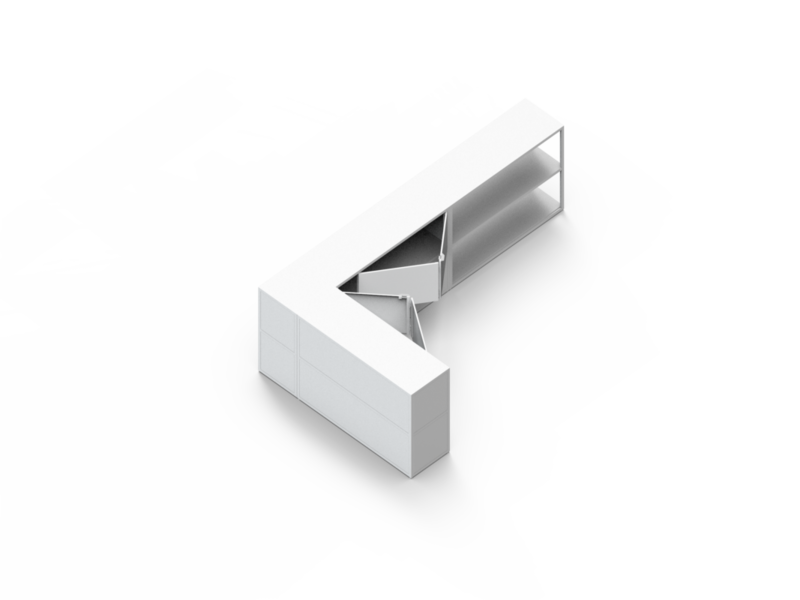 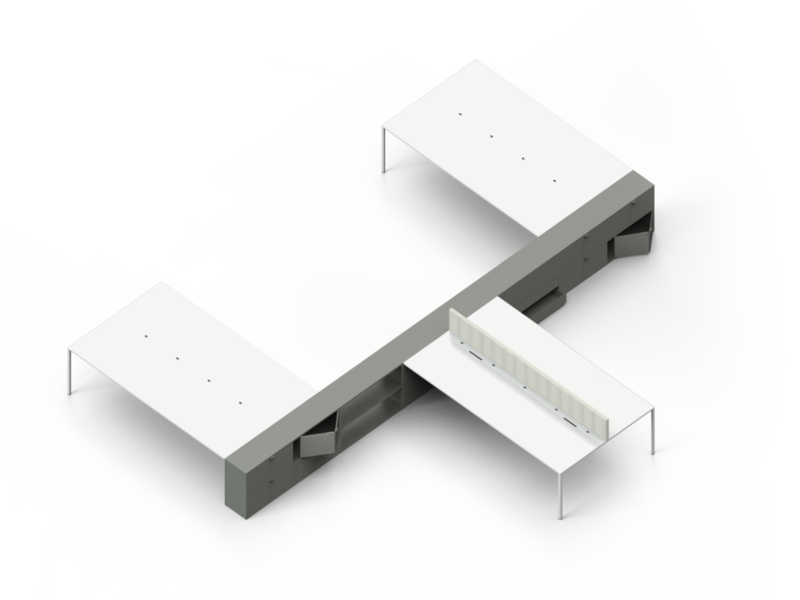 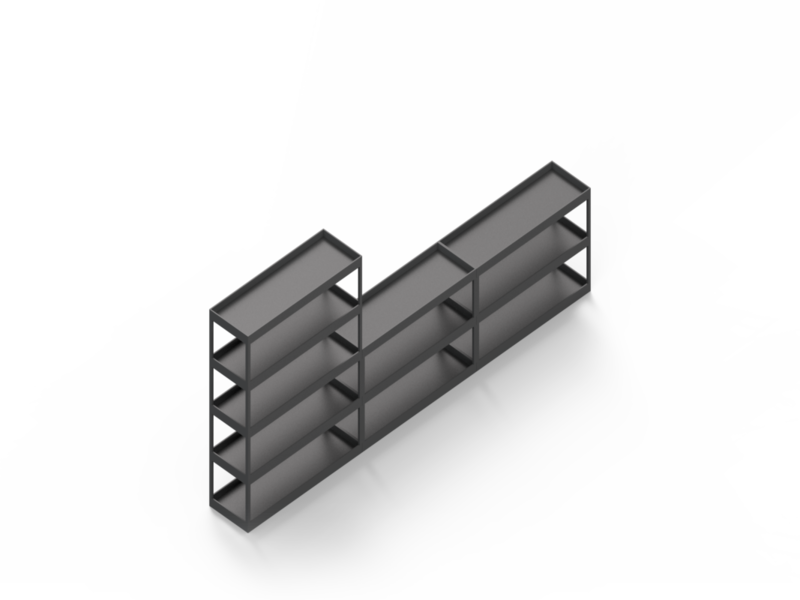 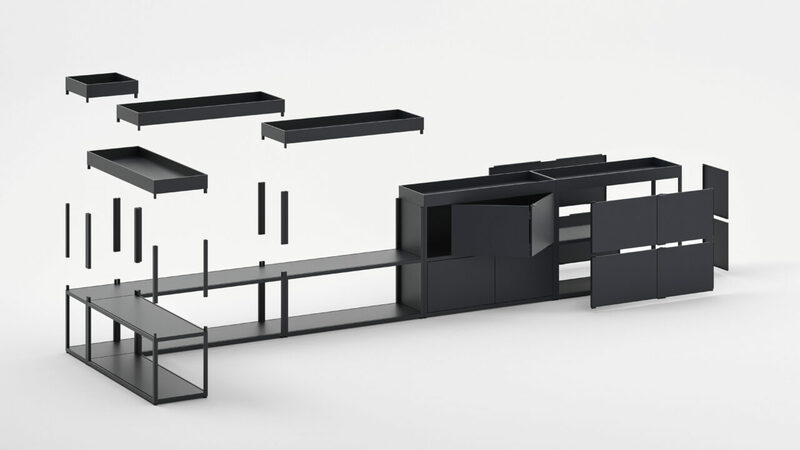 New Order provides a structure that functions as a space dividing and space creating system. 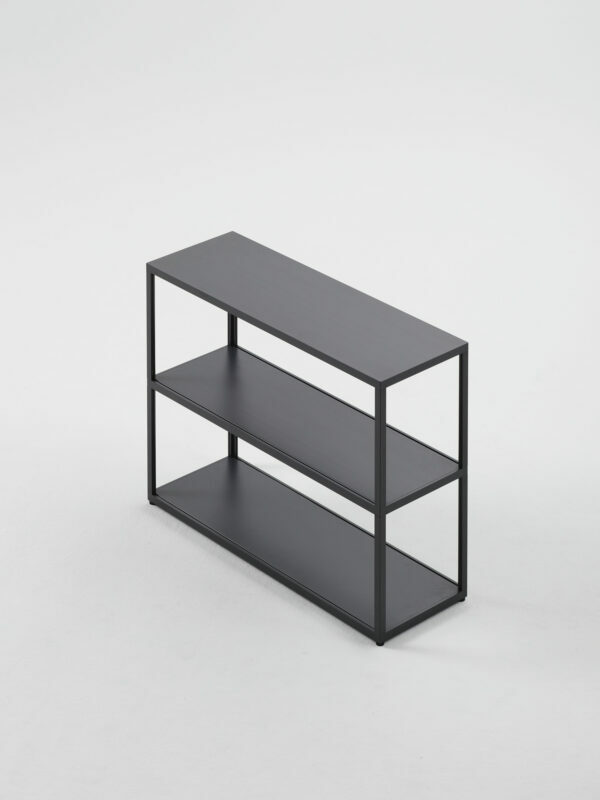 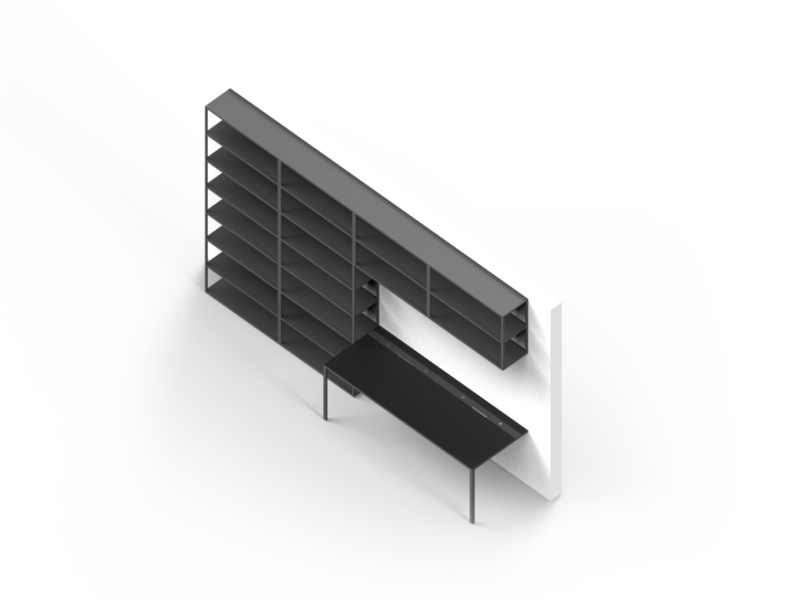 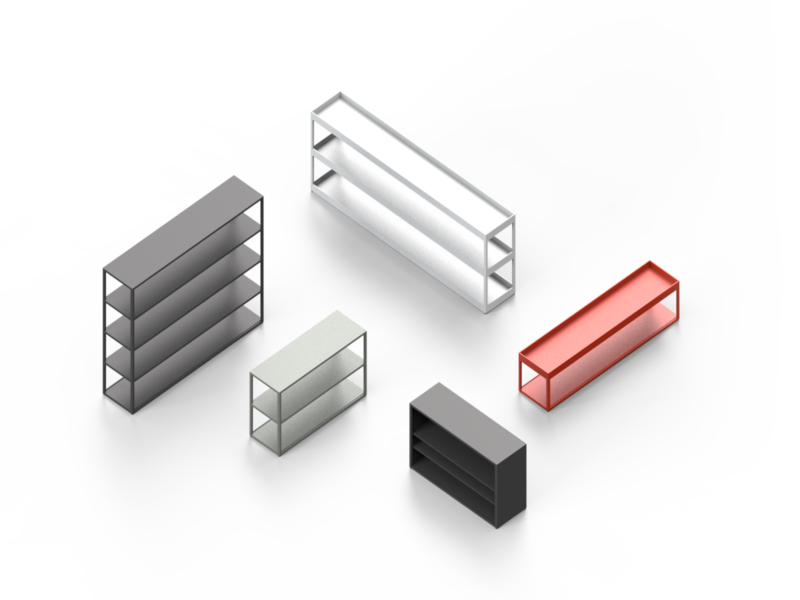 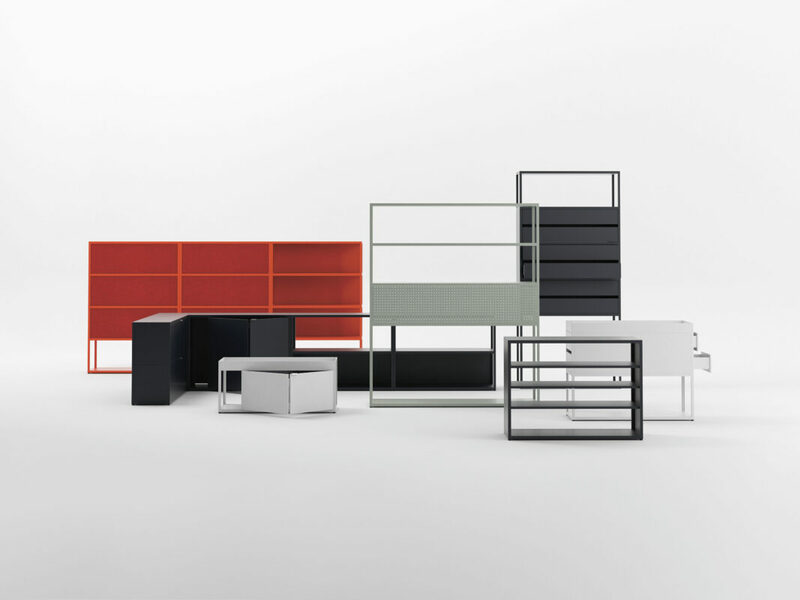 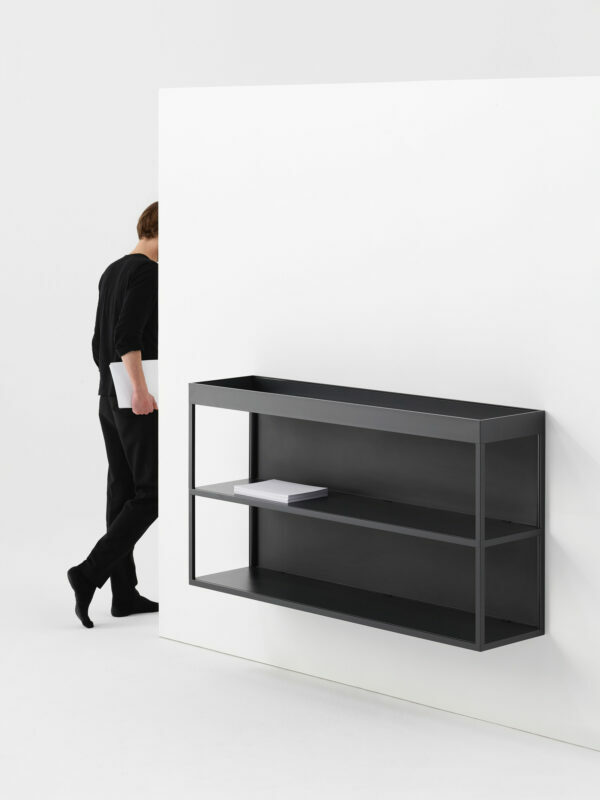 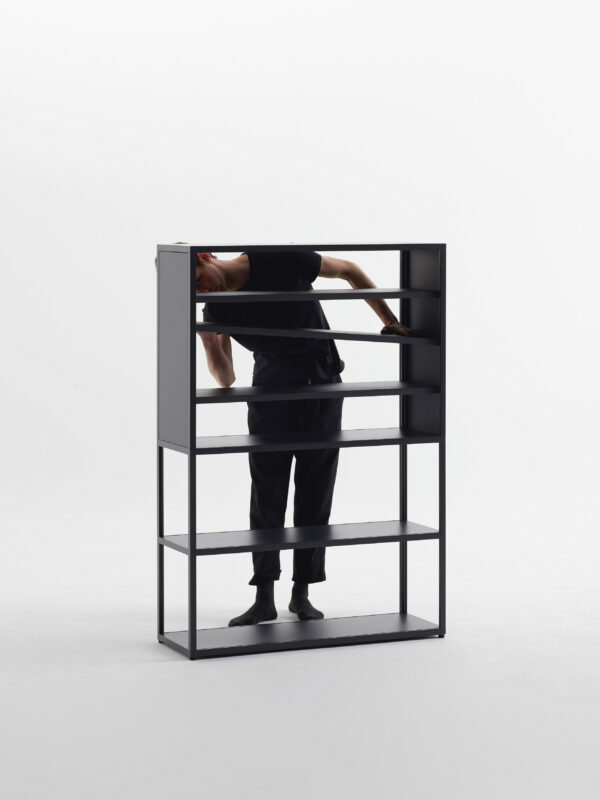 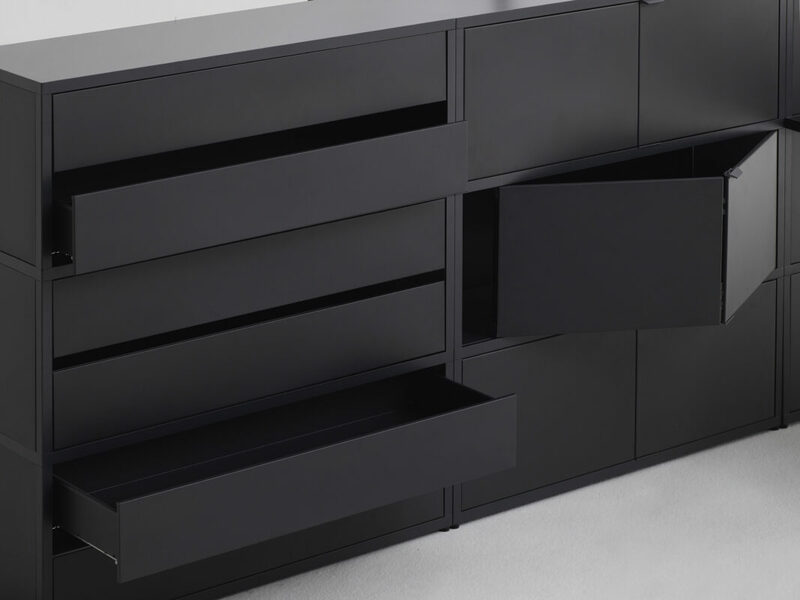 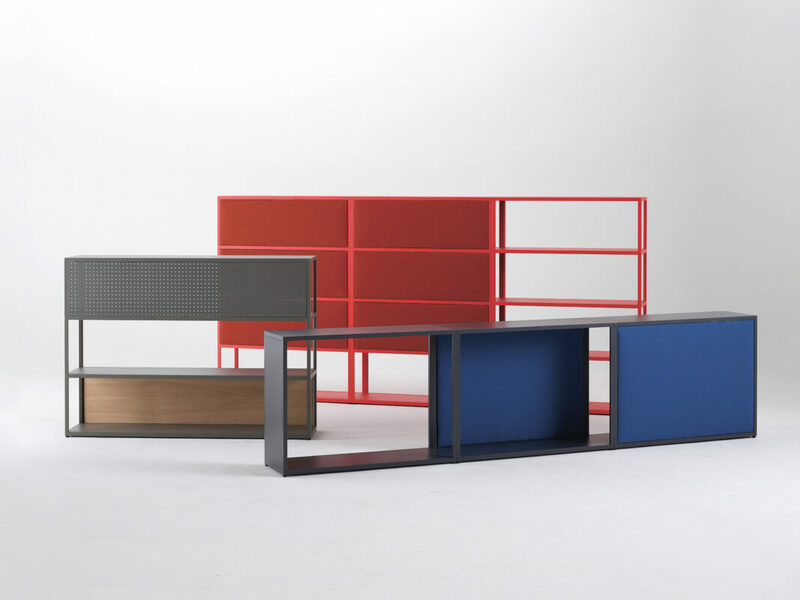 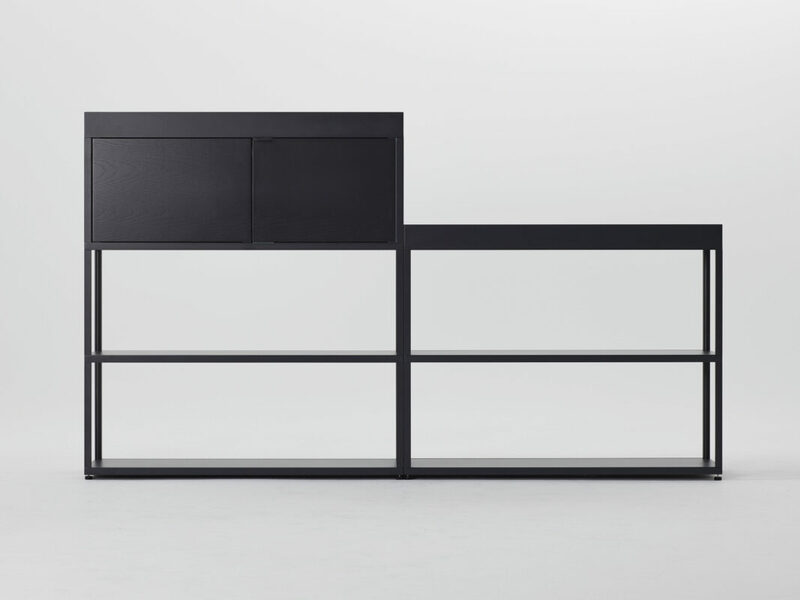 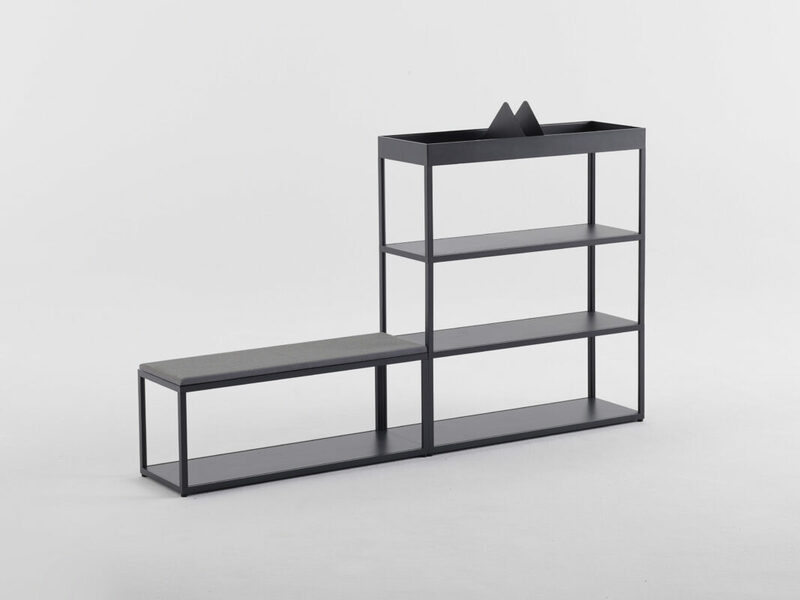 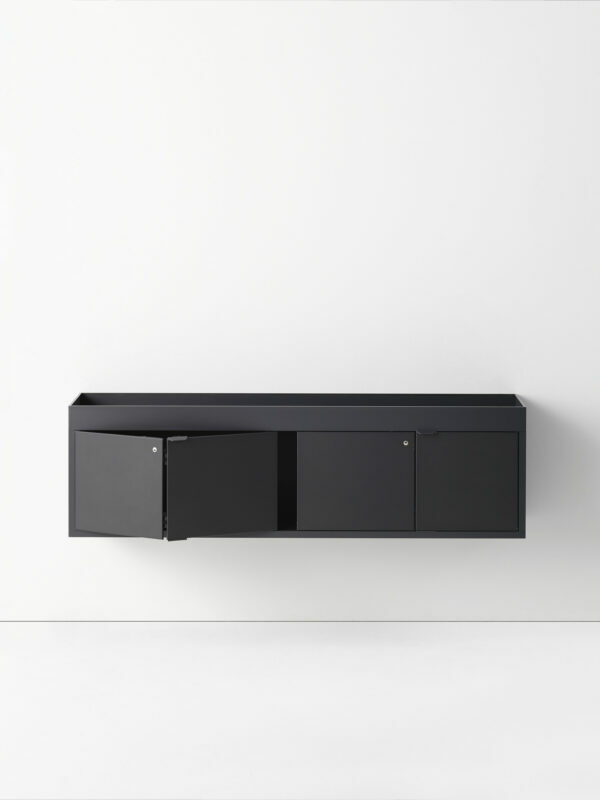 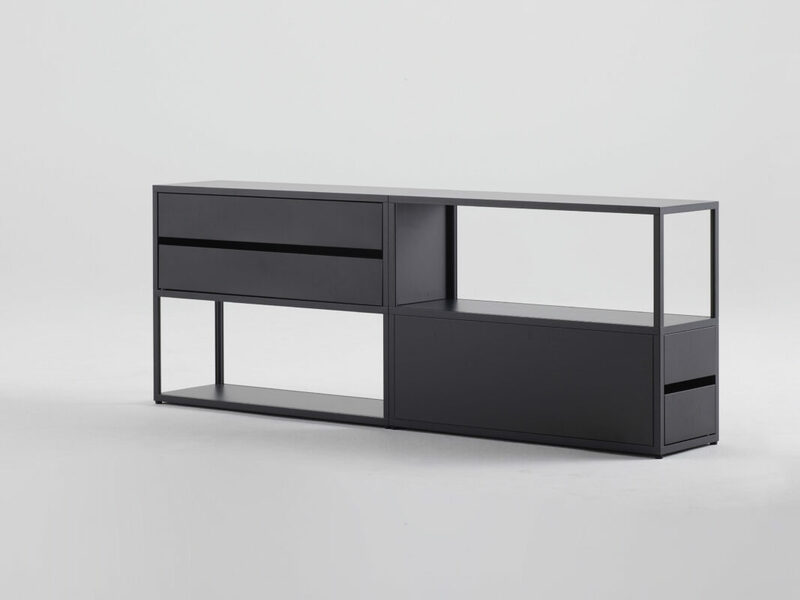 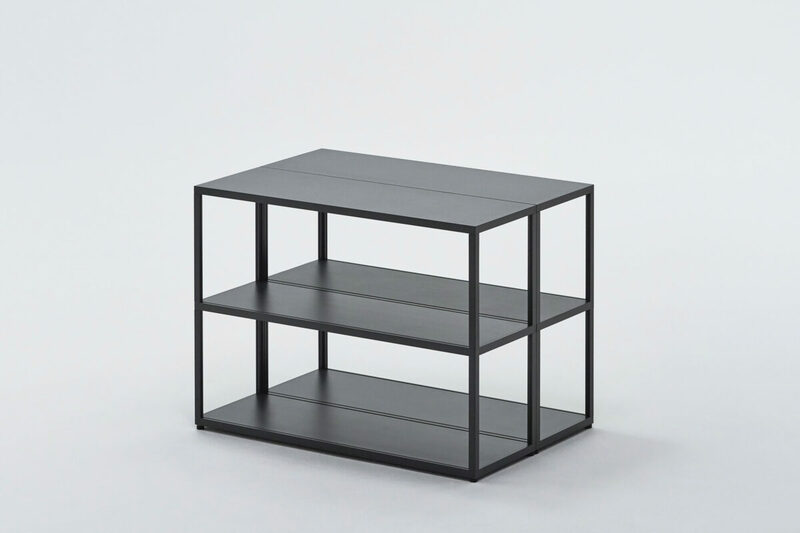 Composed of shelves, trays and profiles in varying lengths and depths, New Order’s grid creates open-ended configurations, as well as compact arrangements supported by an infrastructure of sliding doors, drawers and a variety of panels. 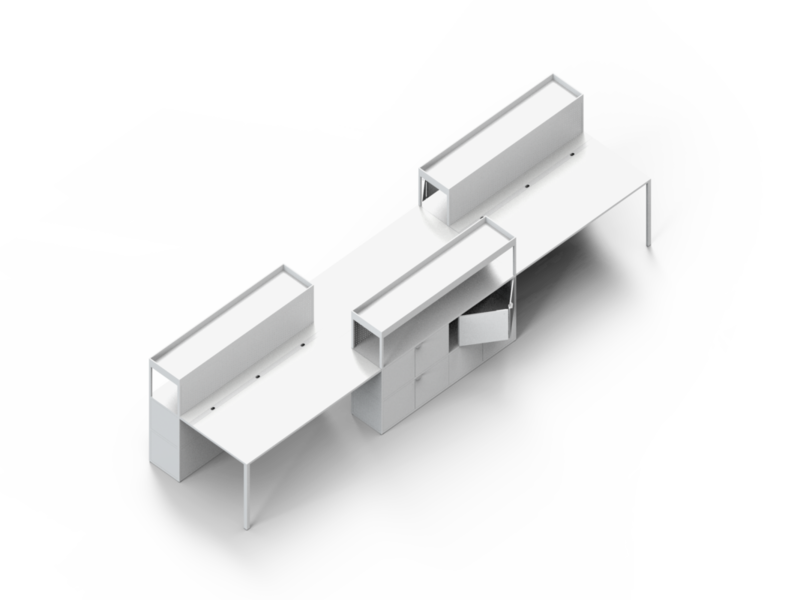 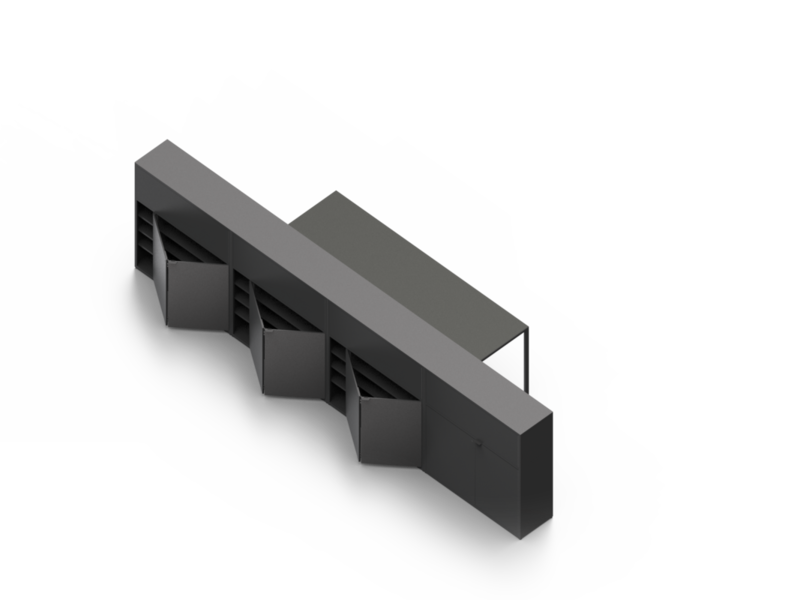 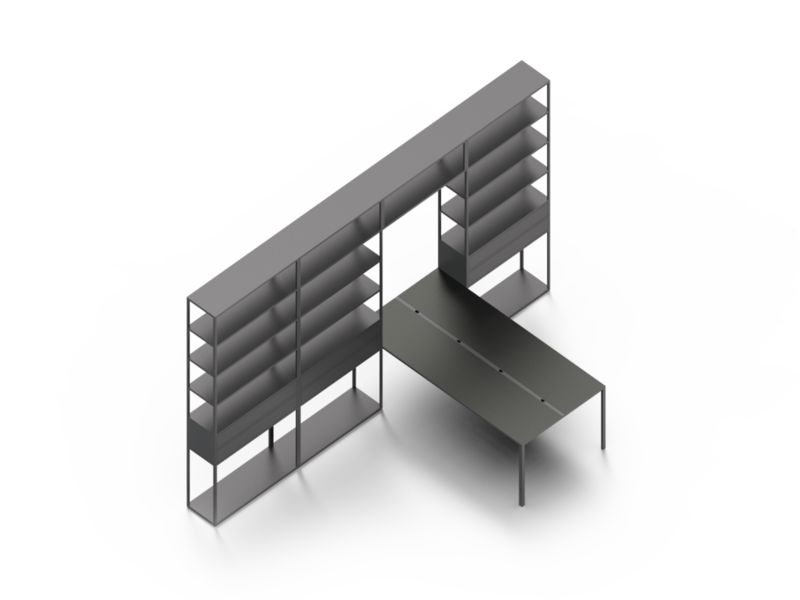 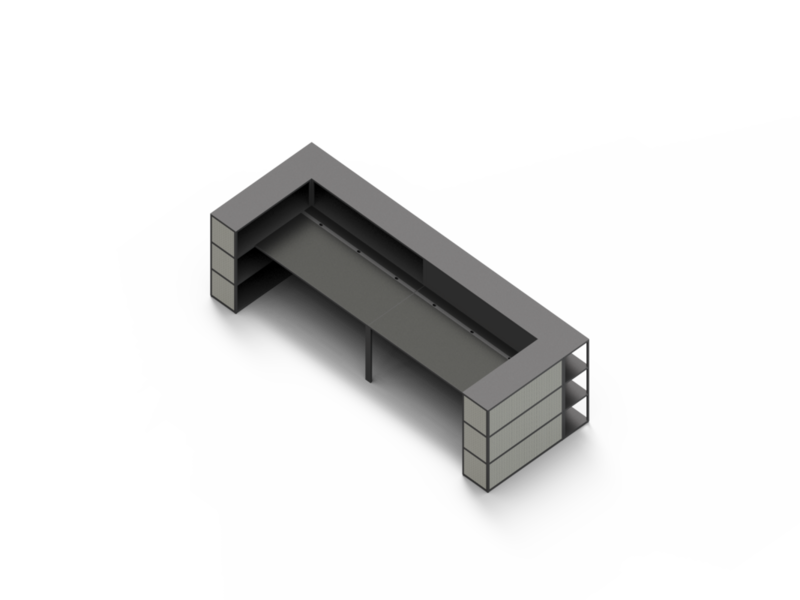 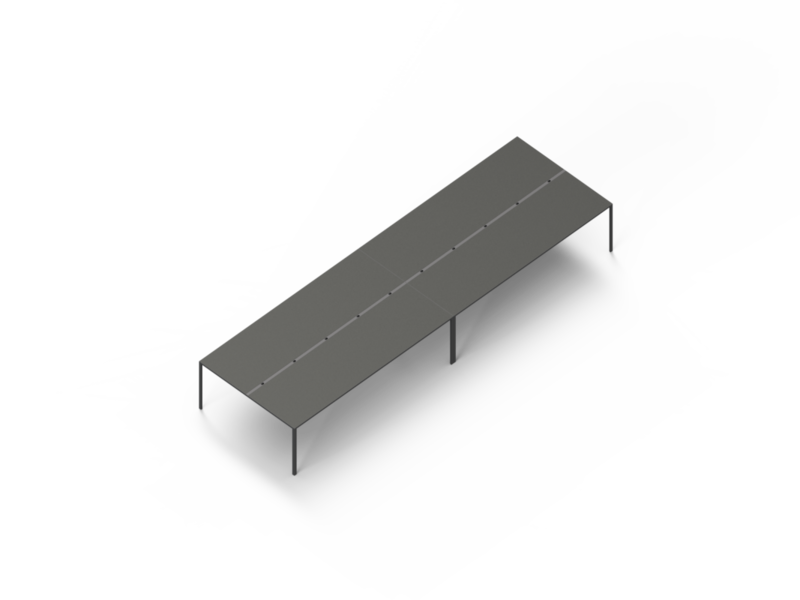 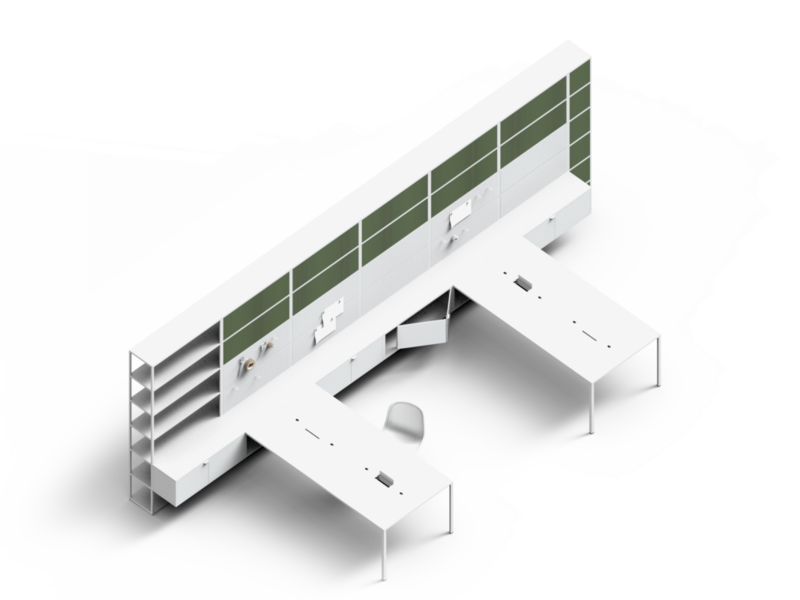 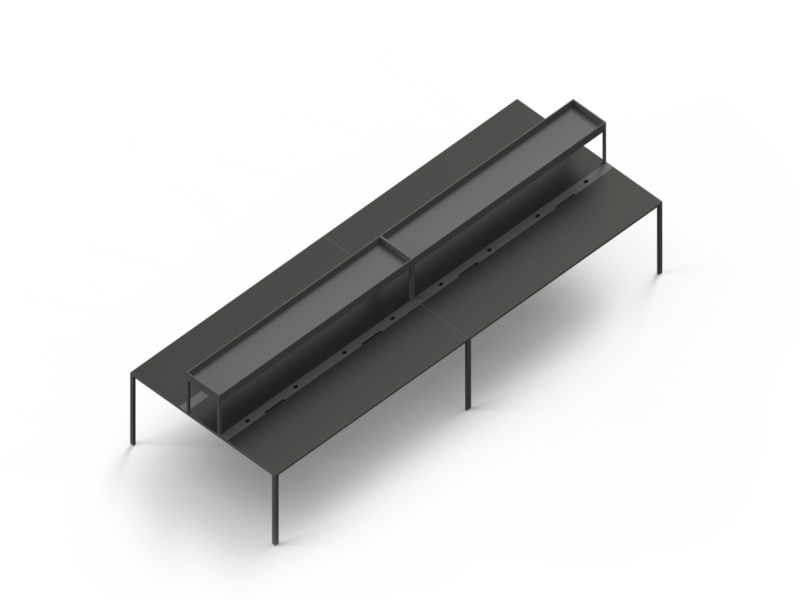 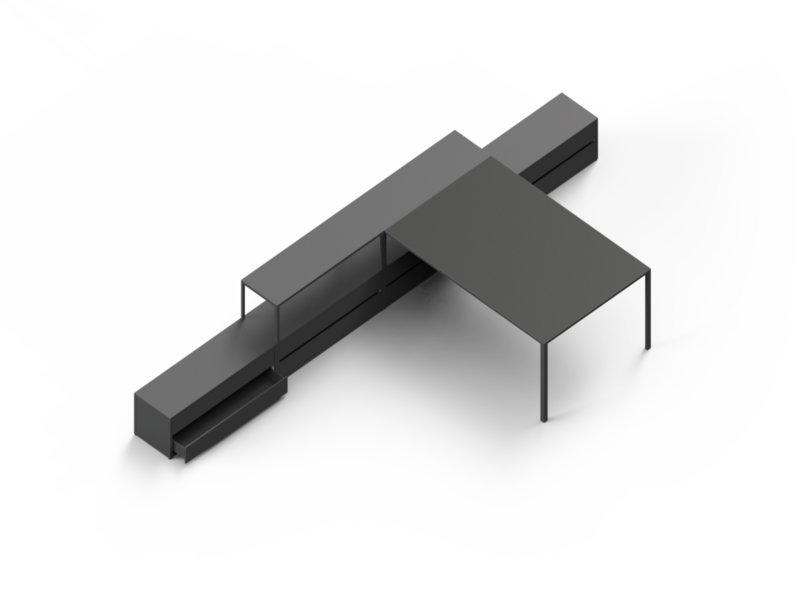 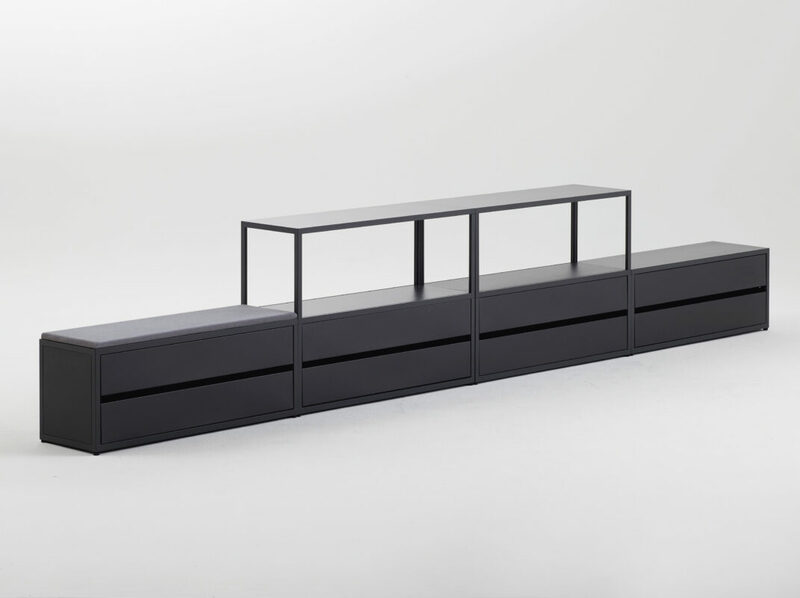 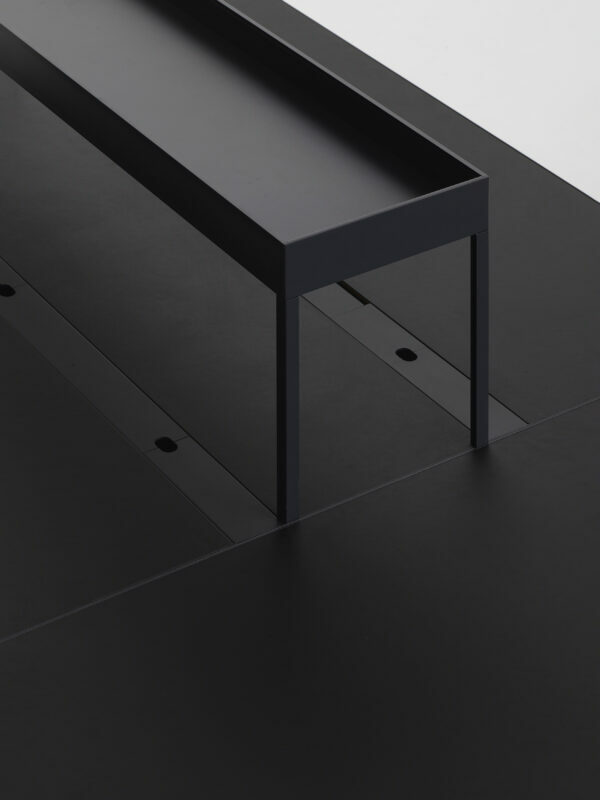 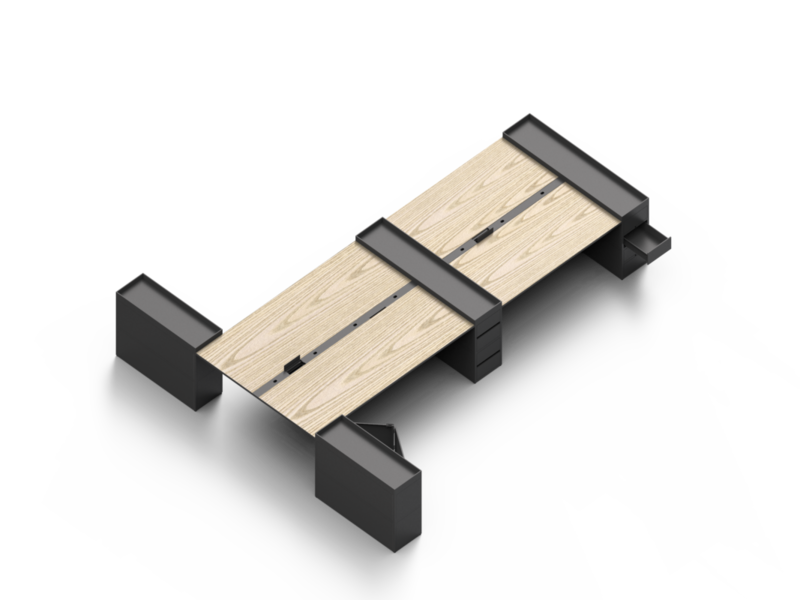 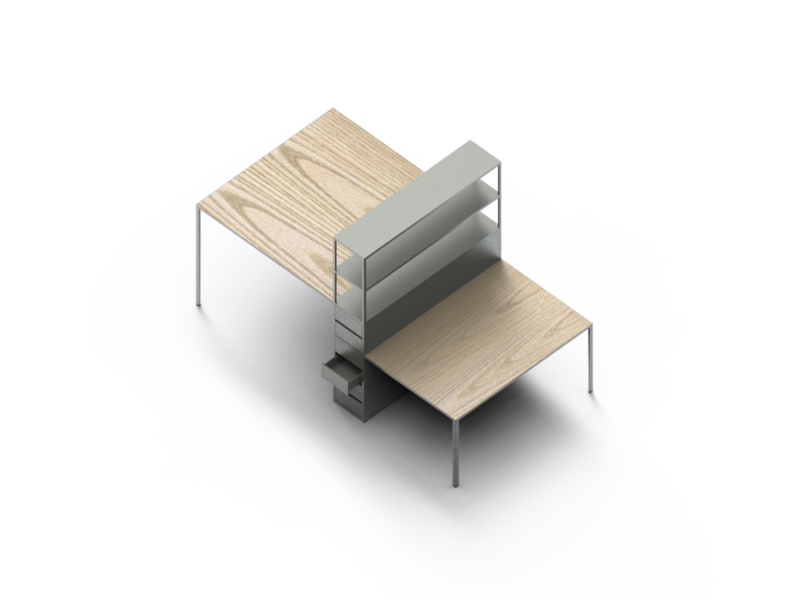 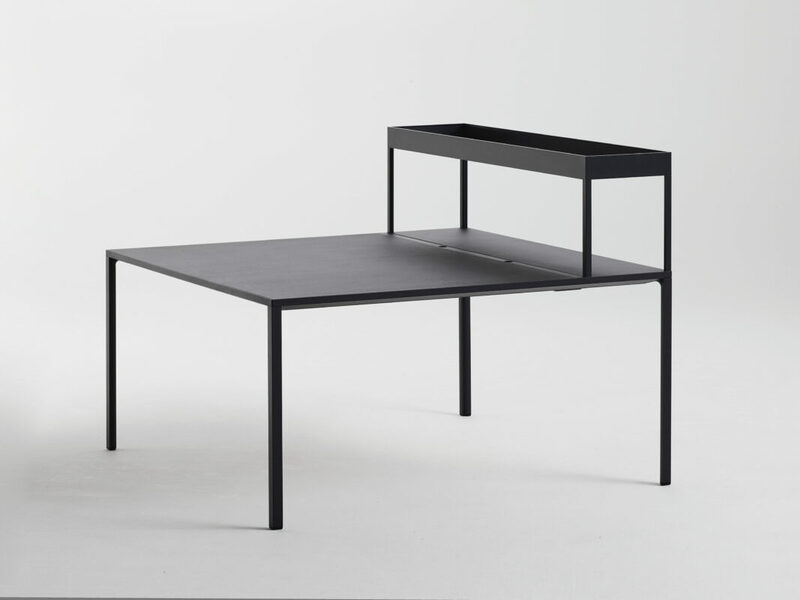 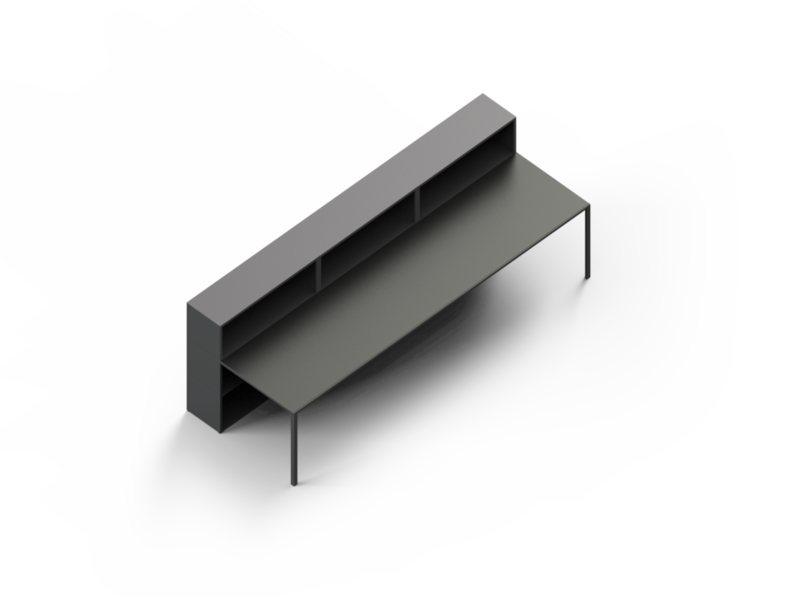 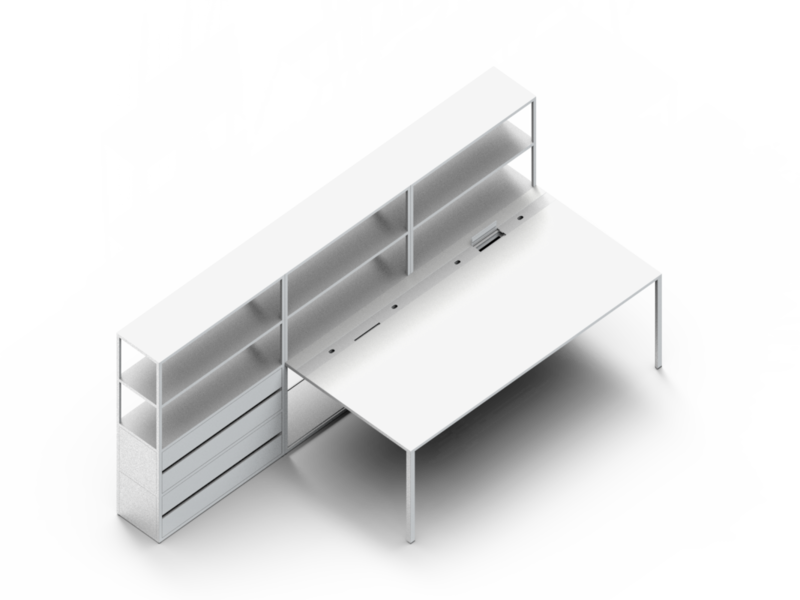 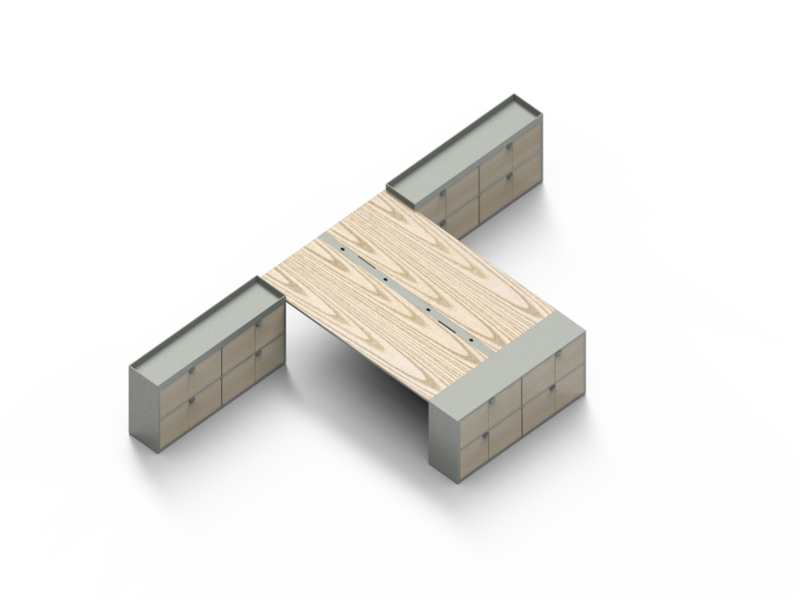 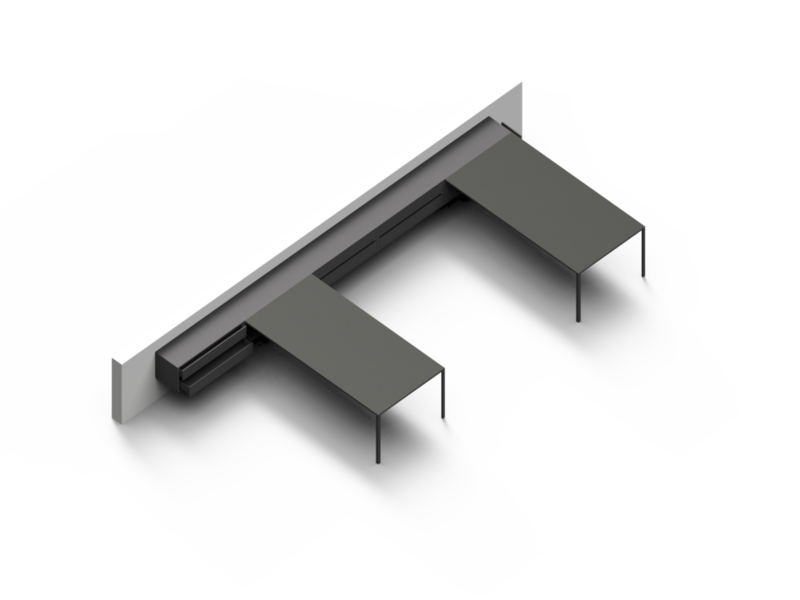 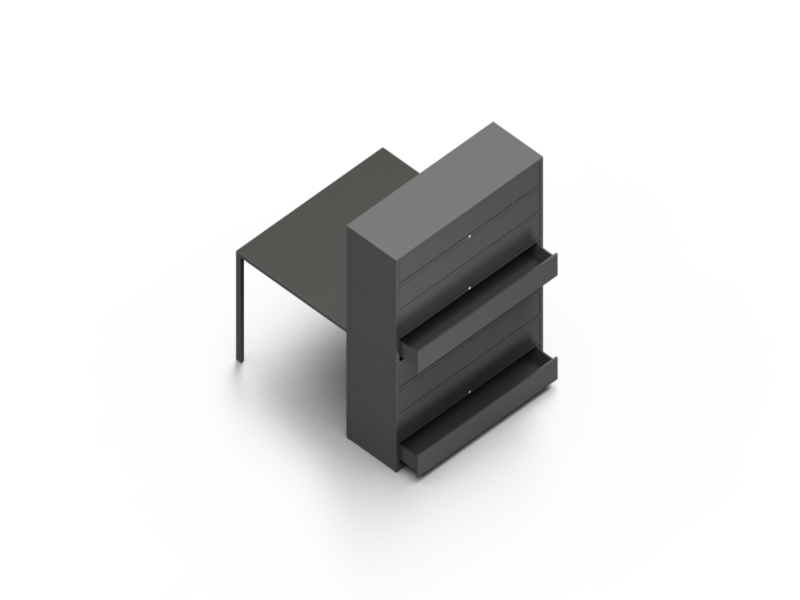 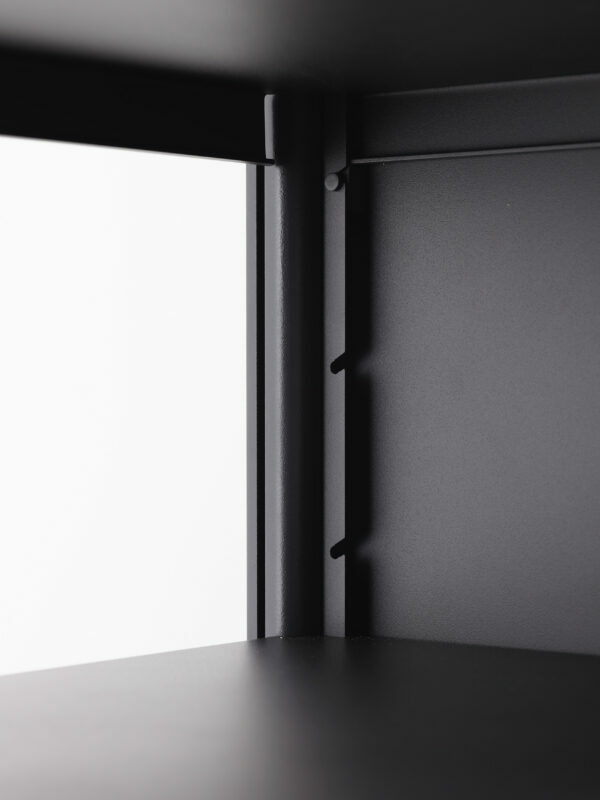 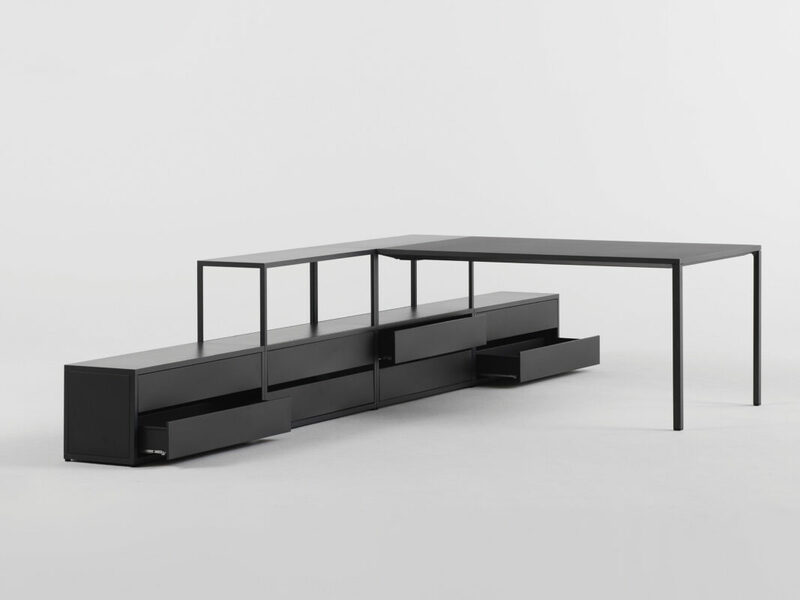 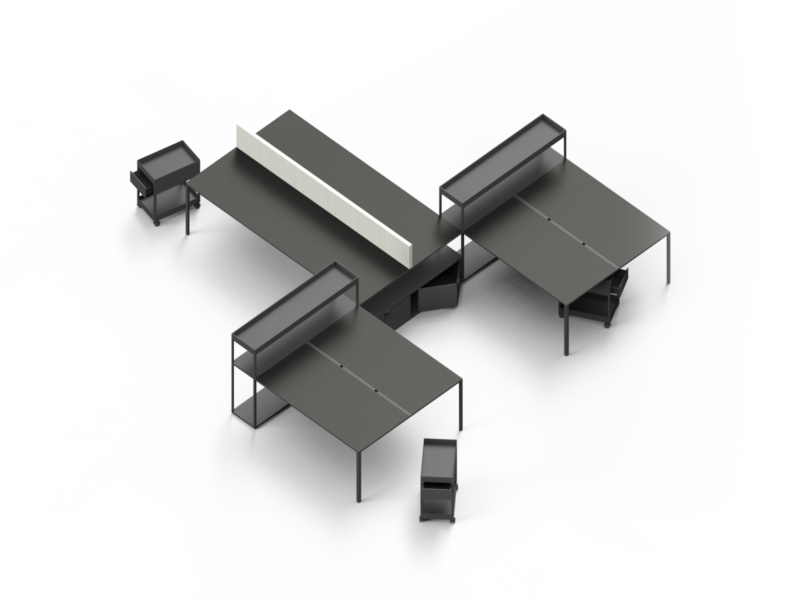 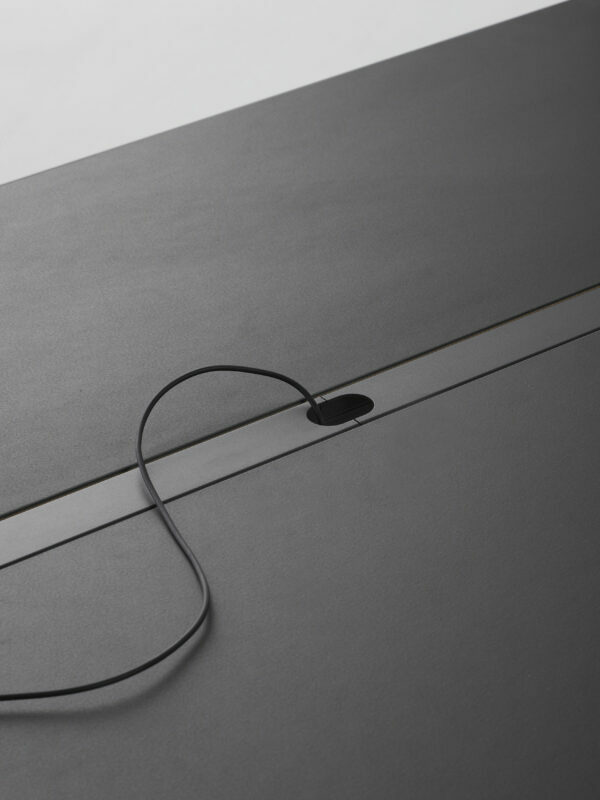 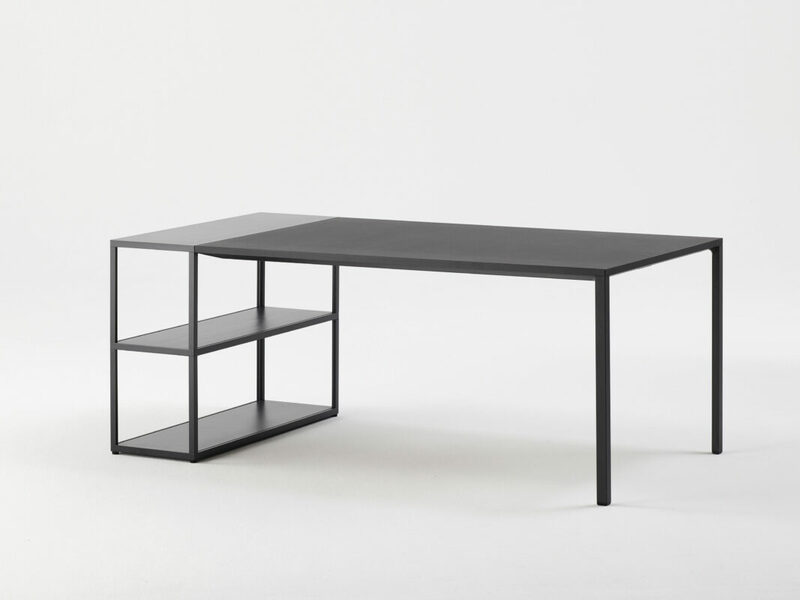 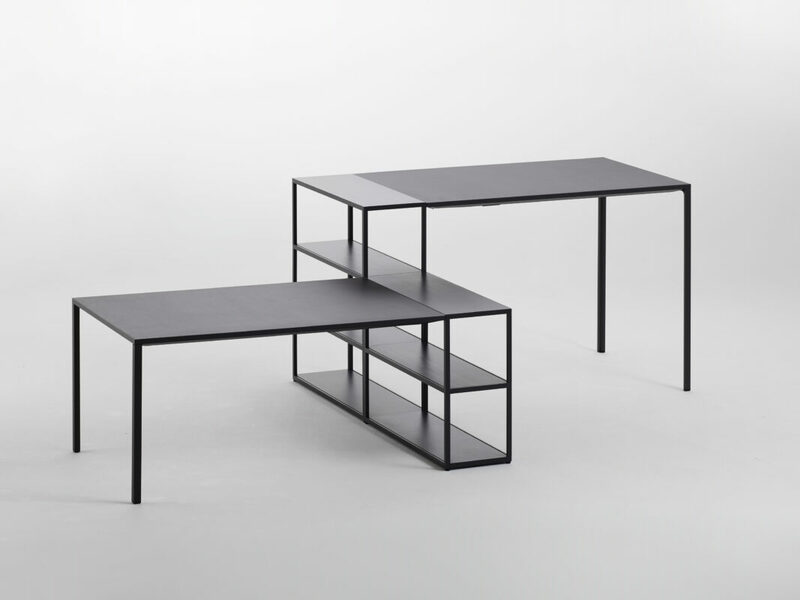 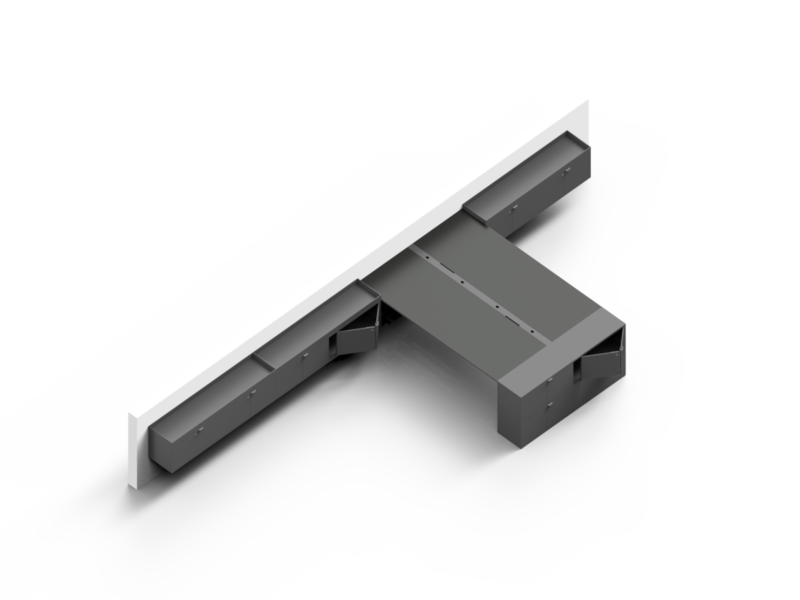 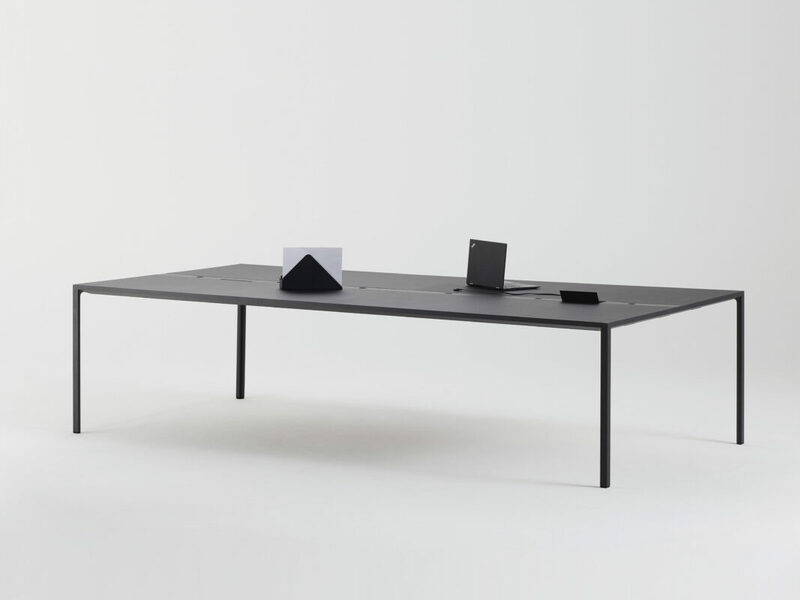 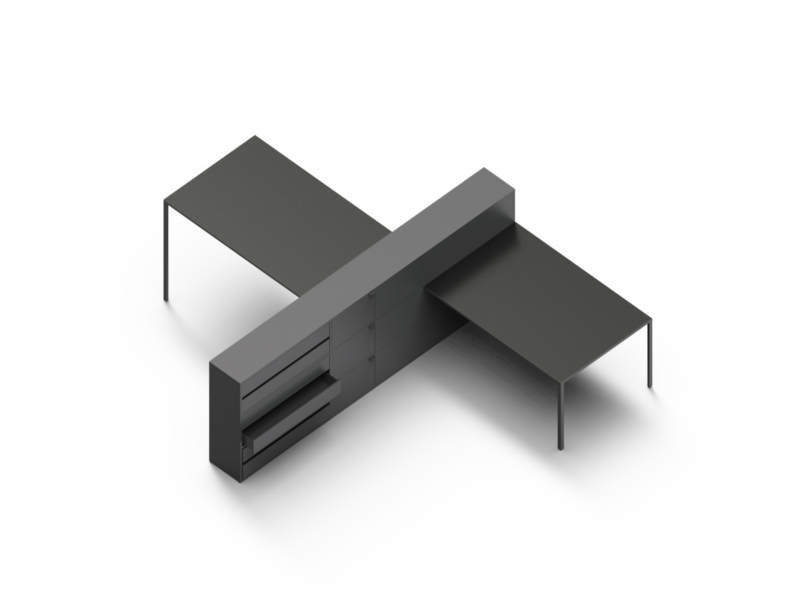 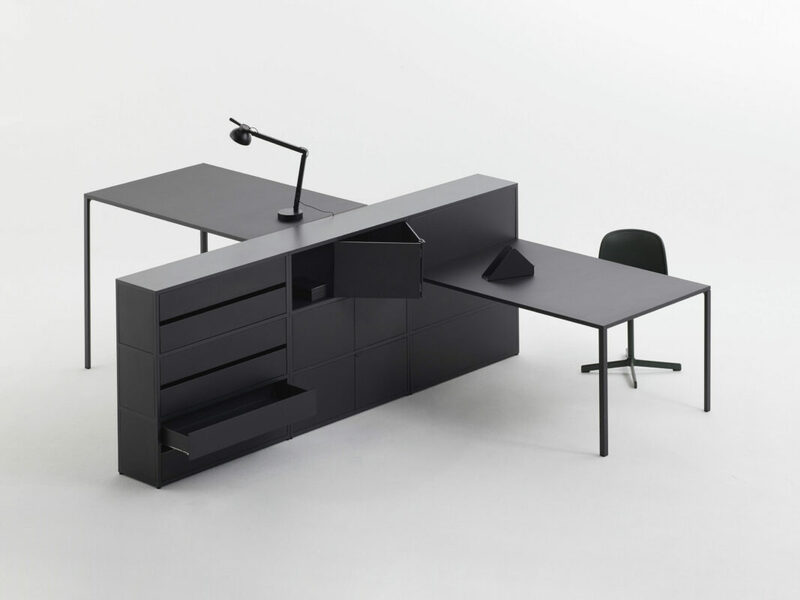 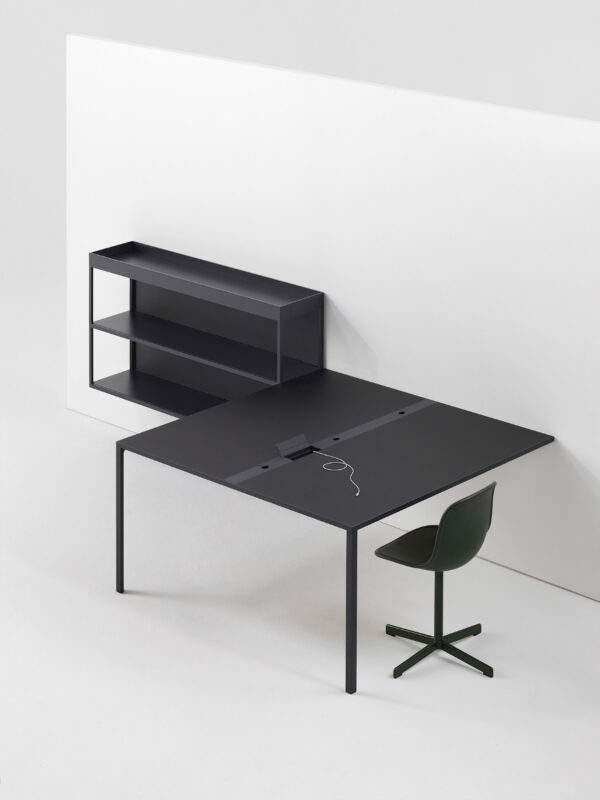 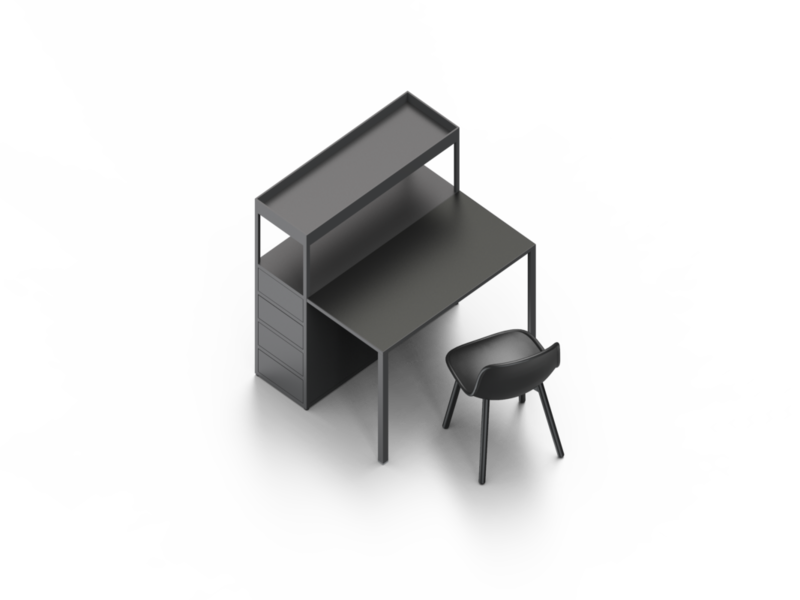 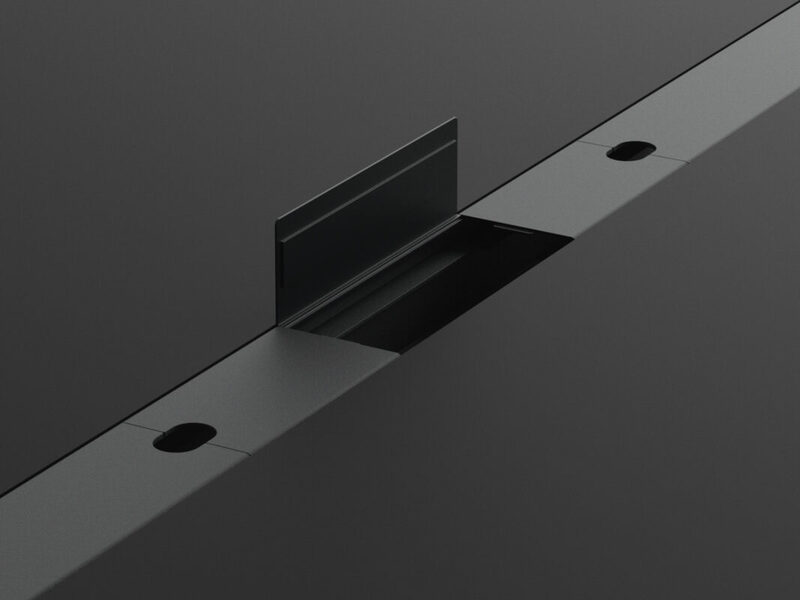 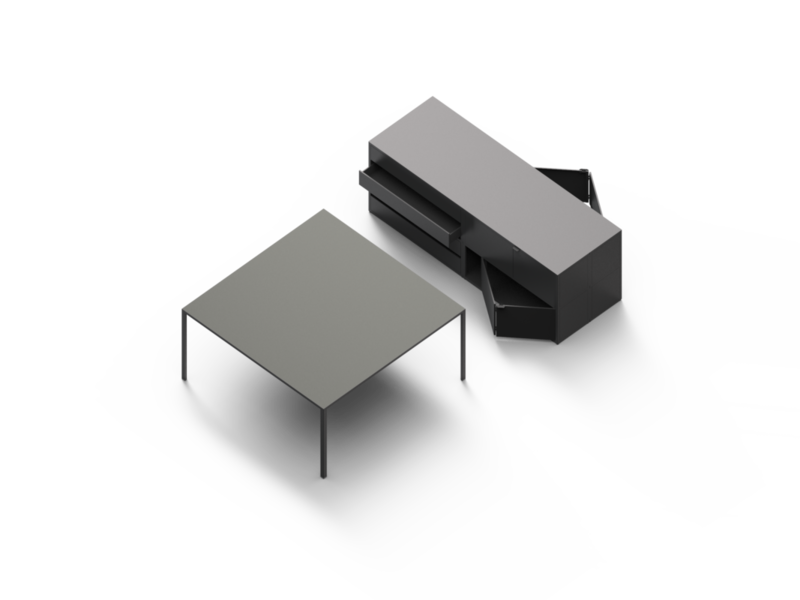 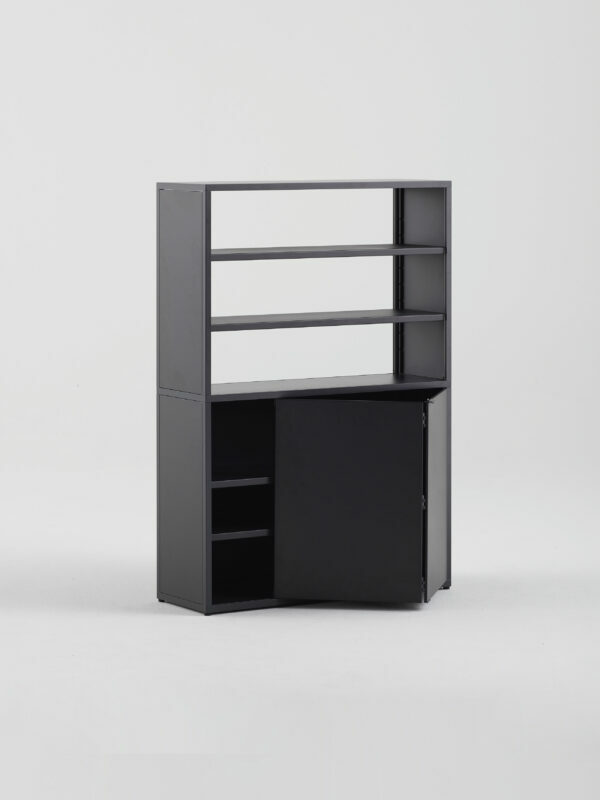 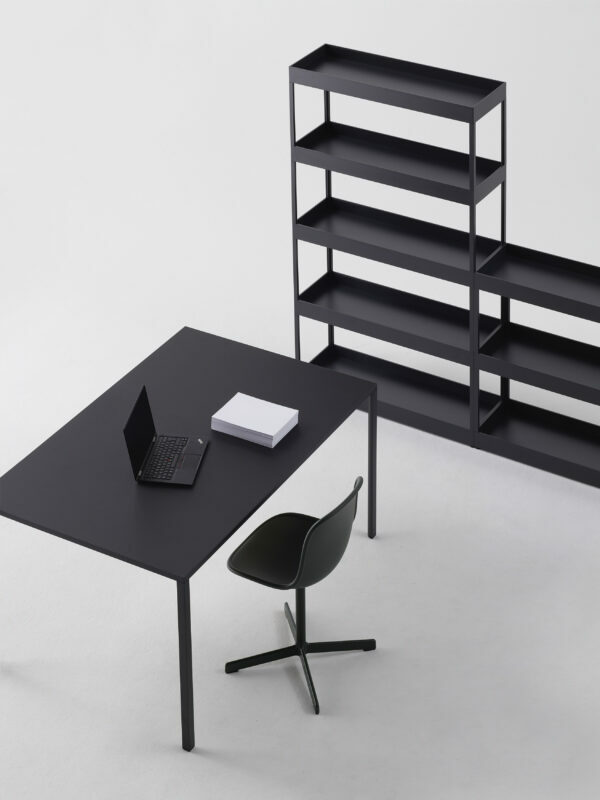 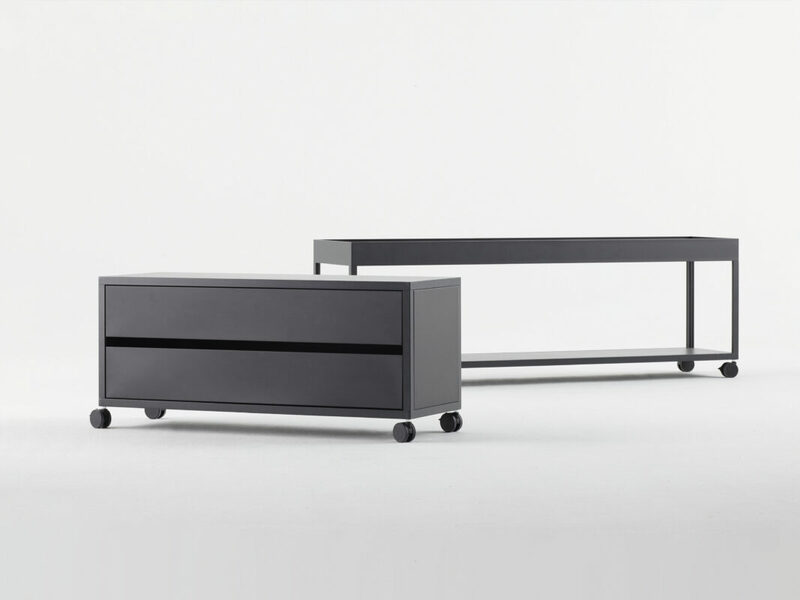 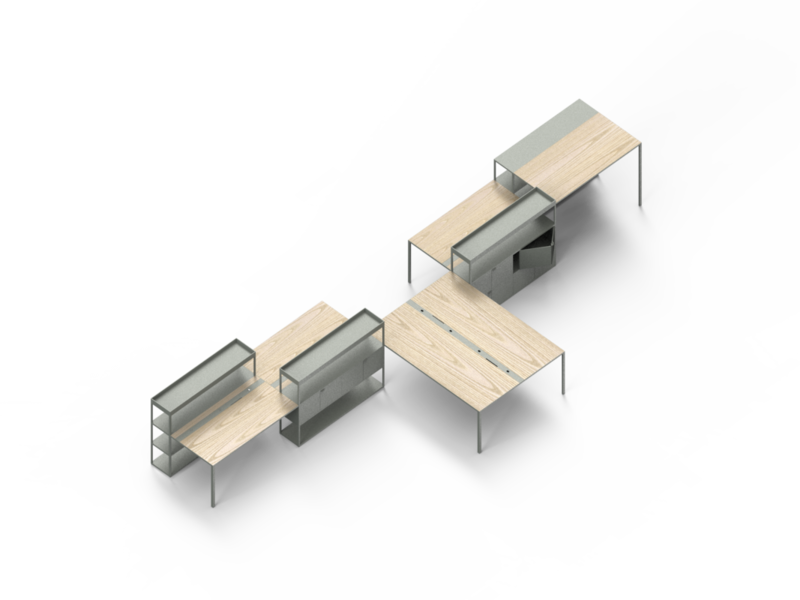 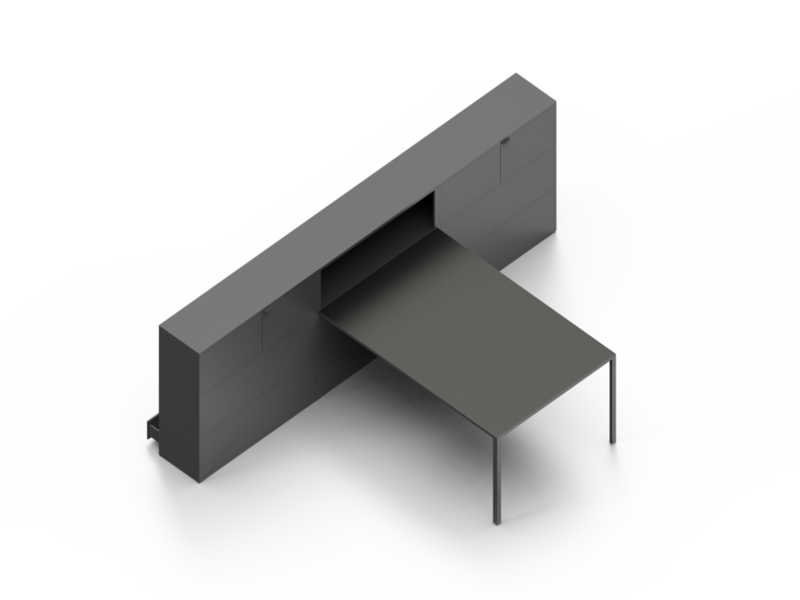 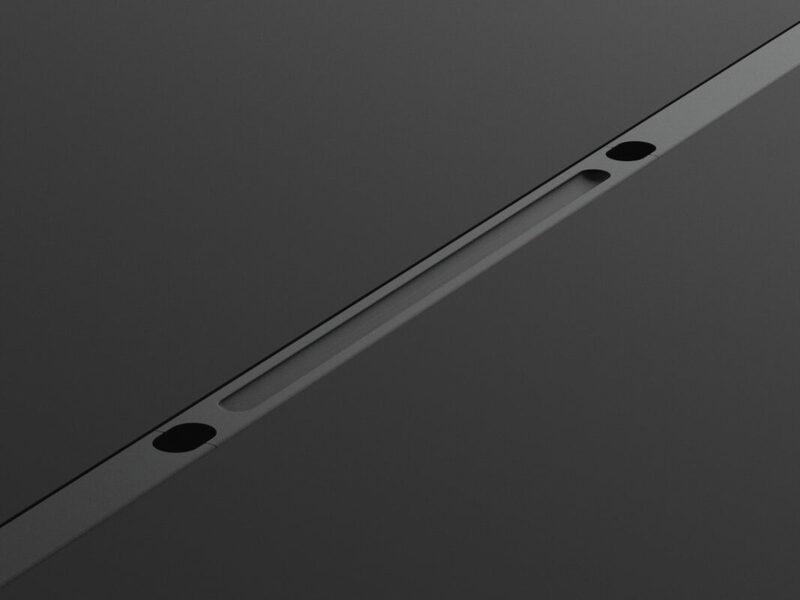 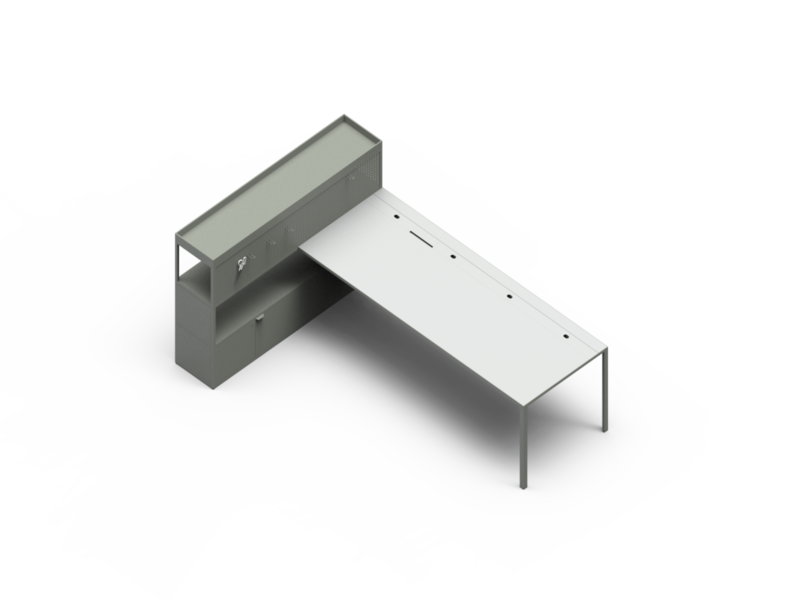 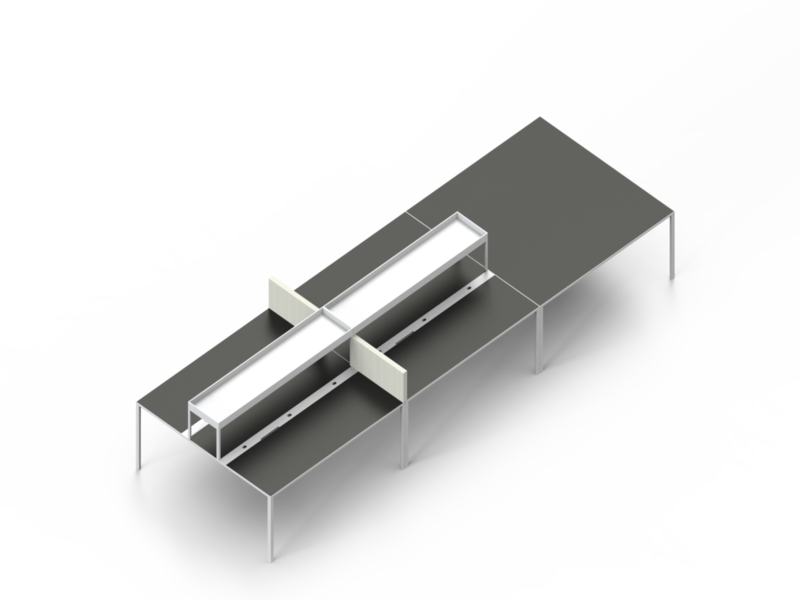 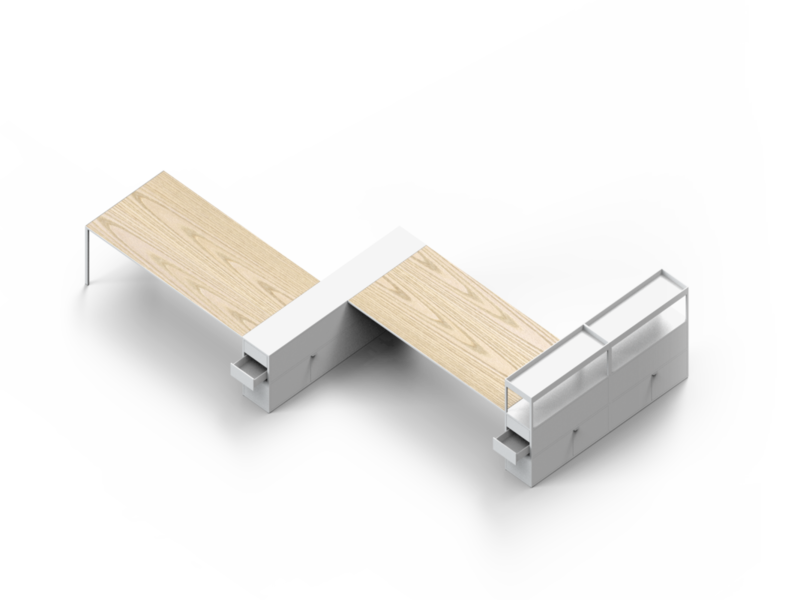 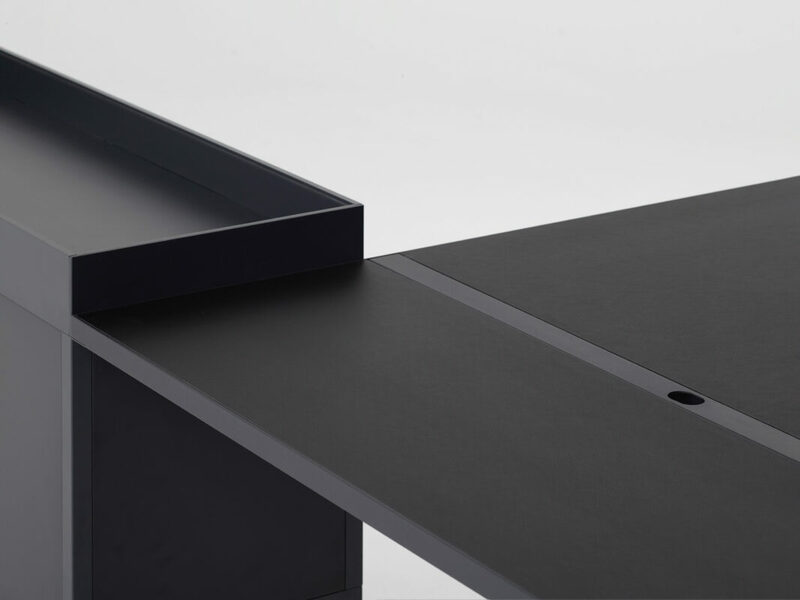 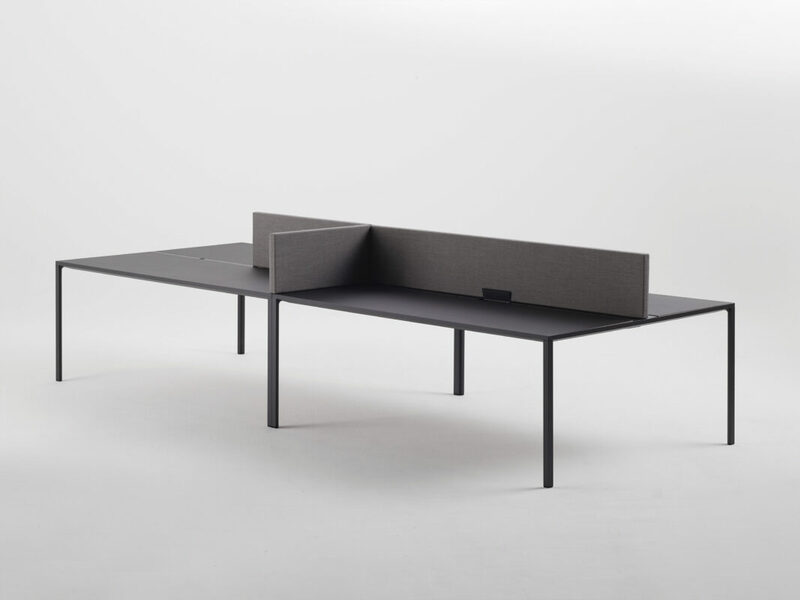 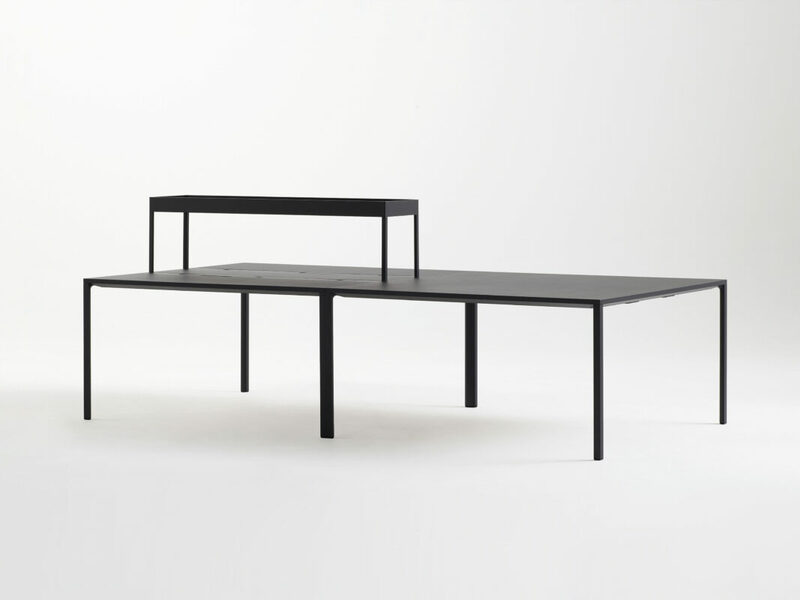 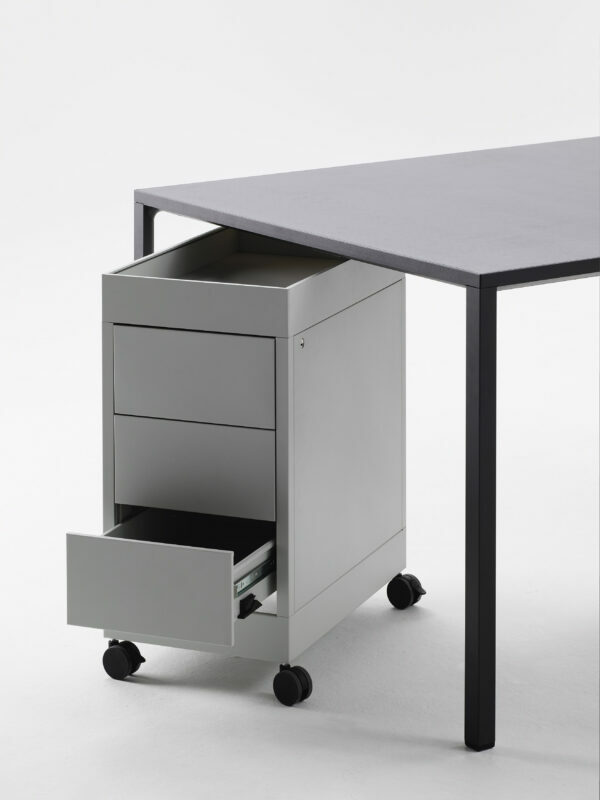 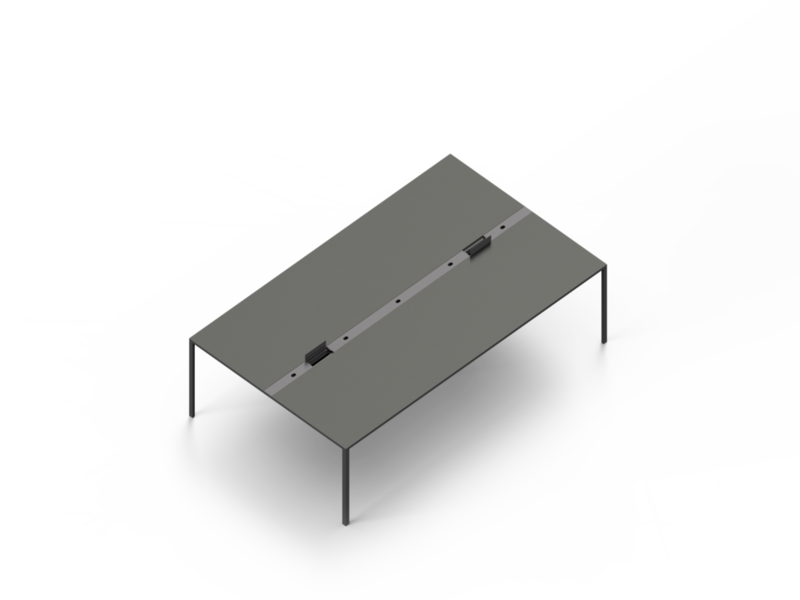 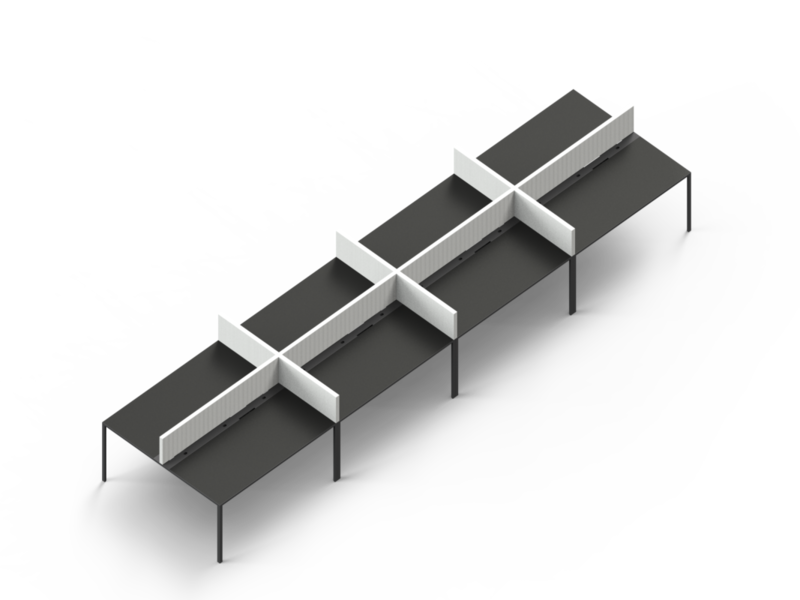 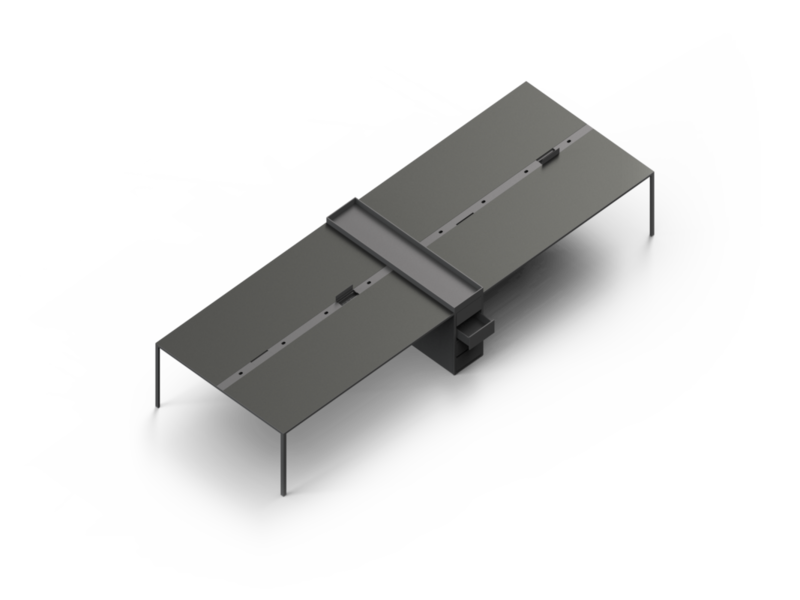 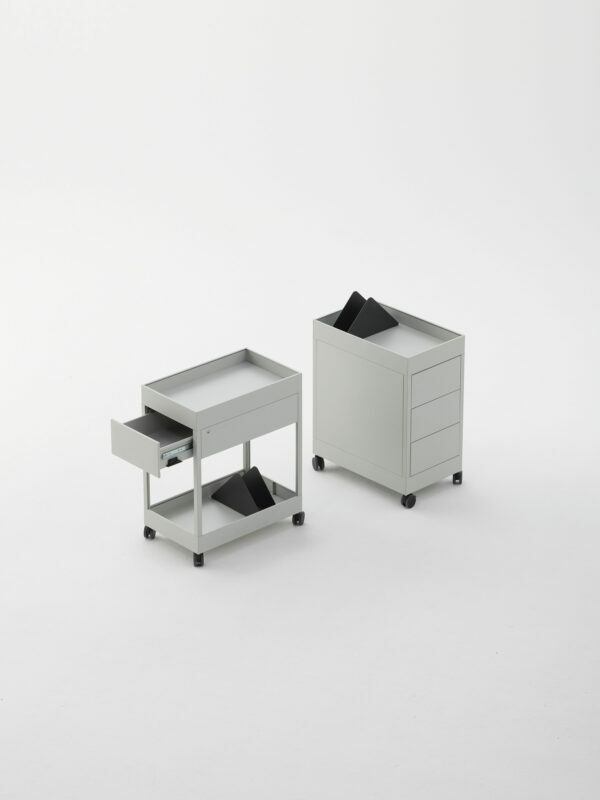 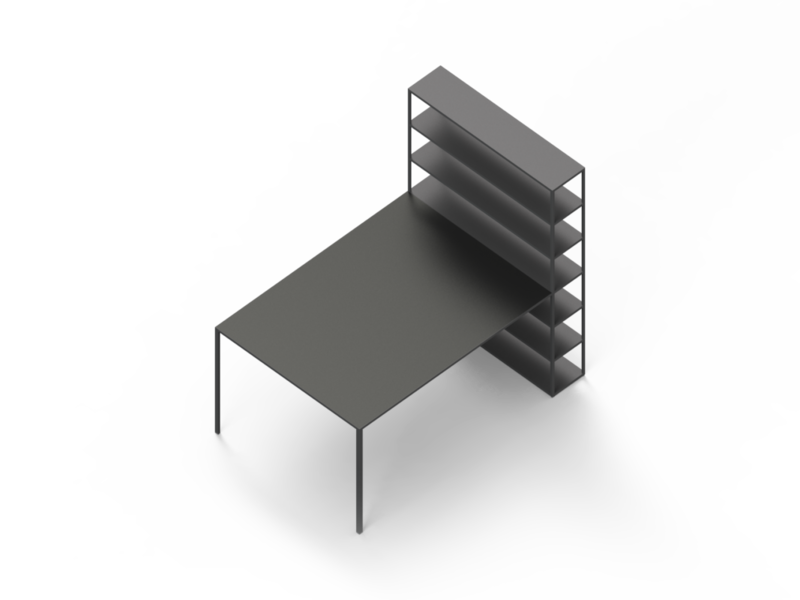 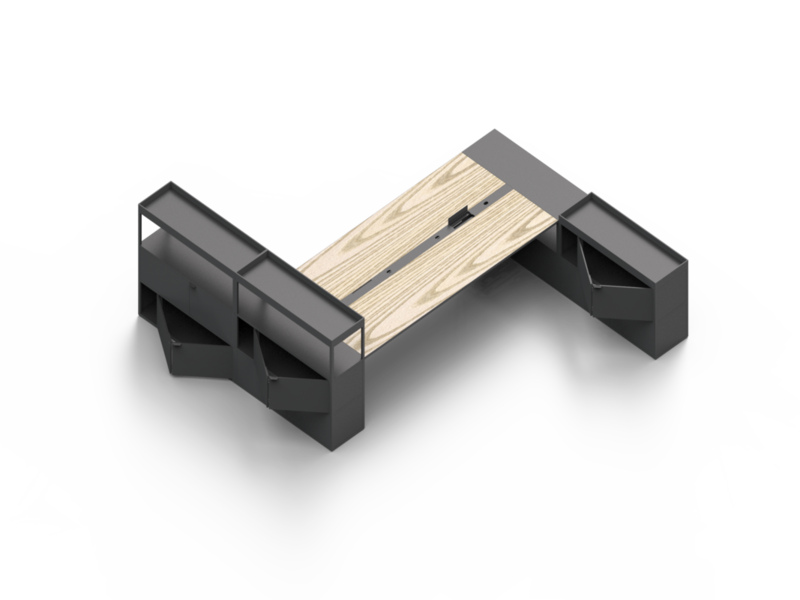 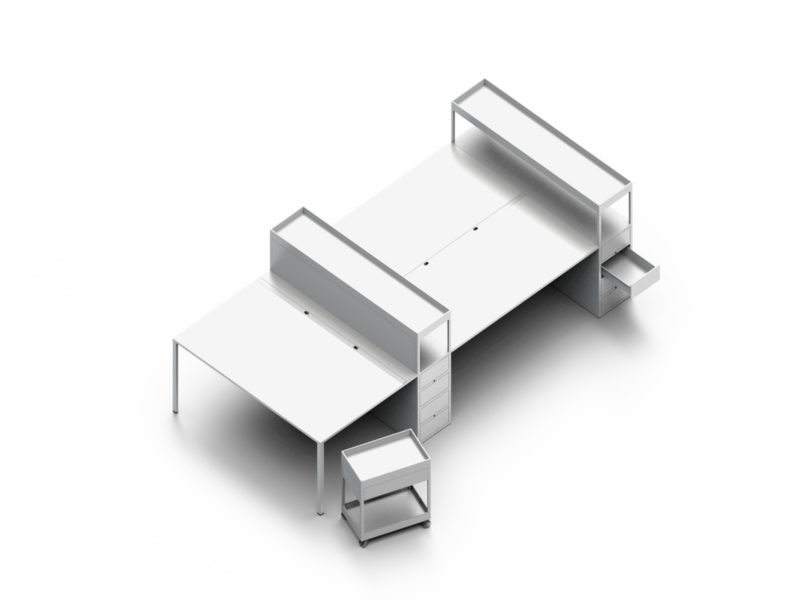 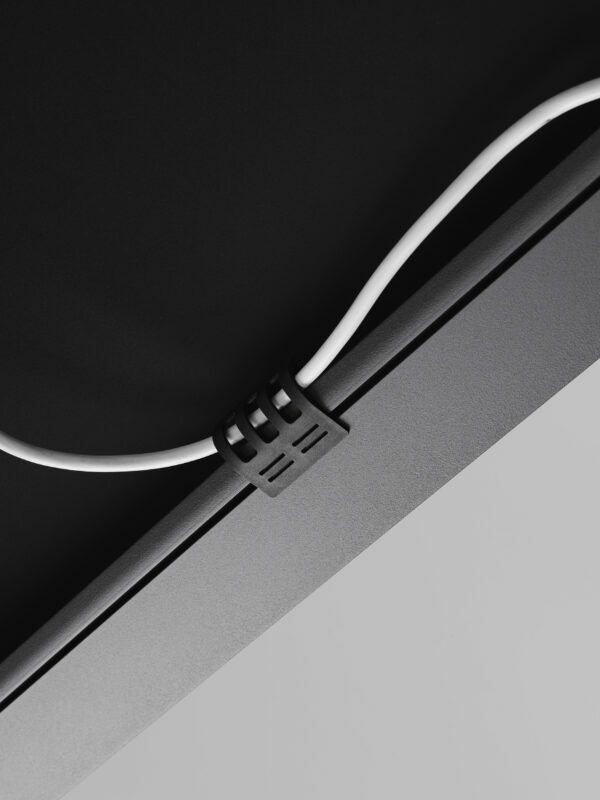 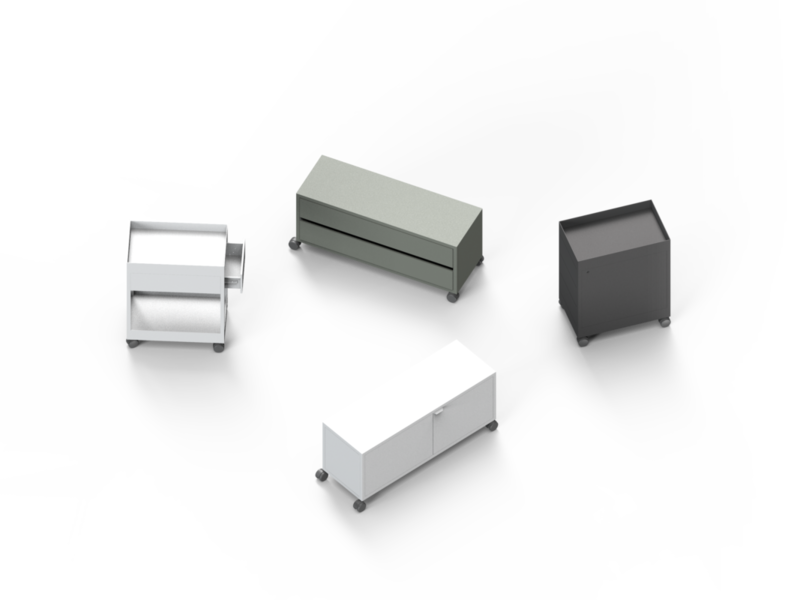 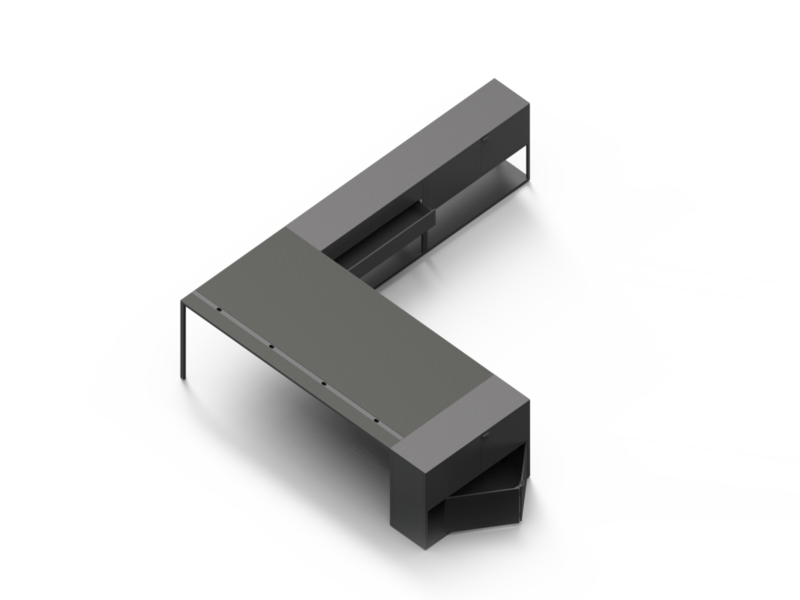 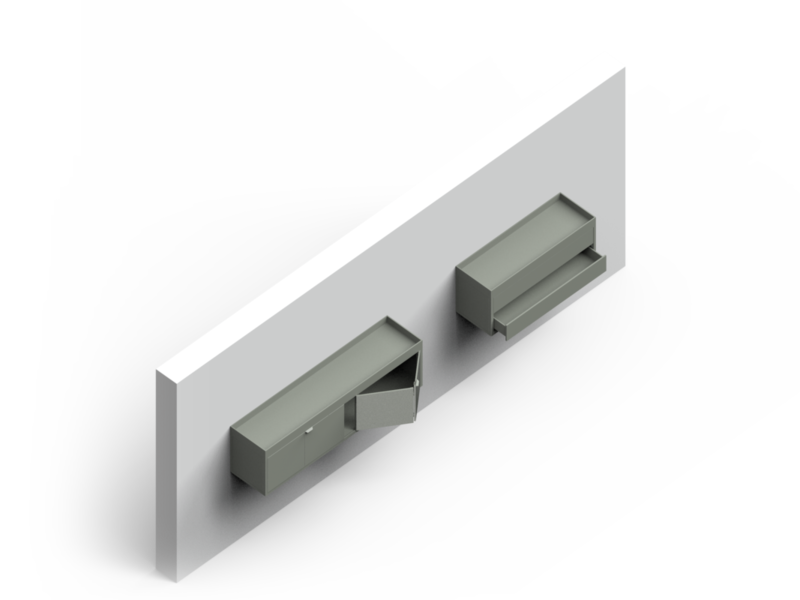 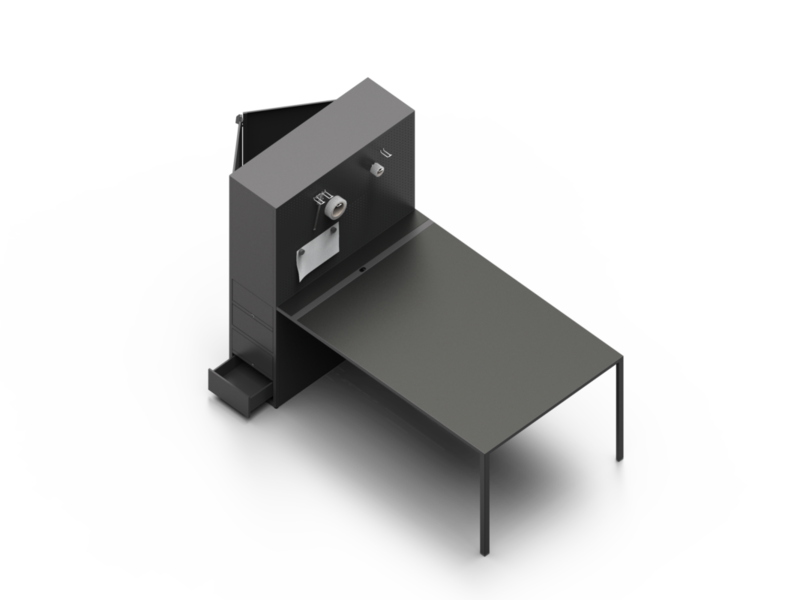 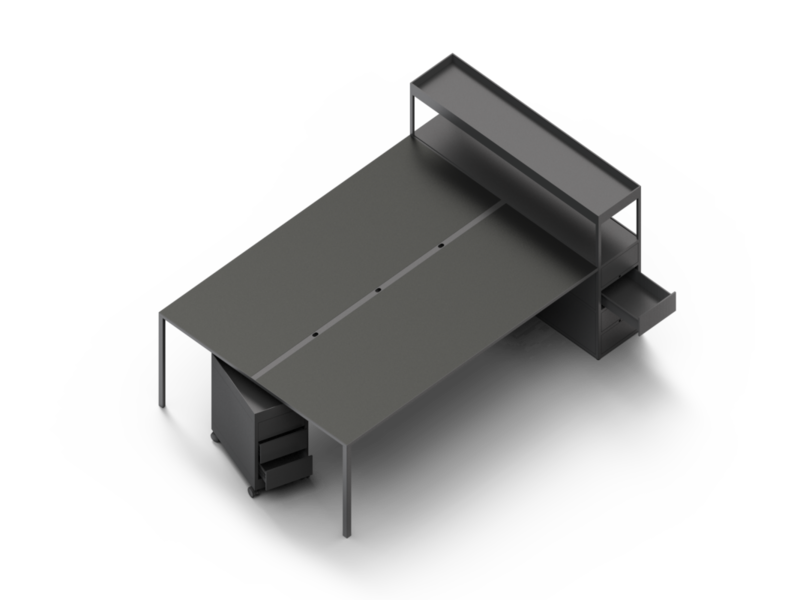 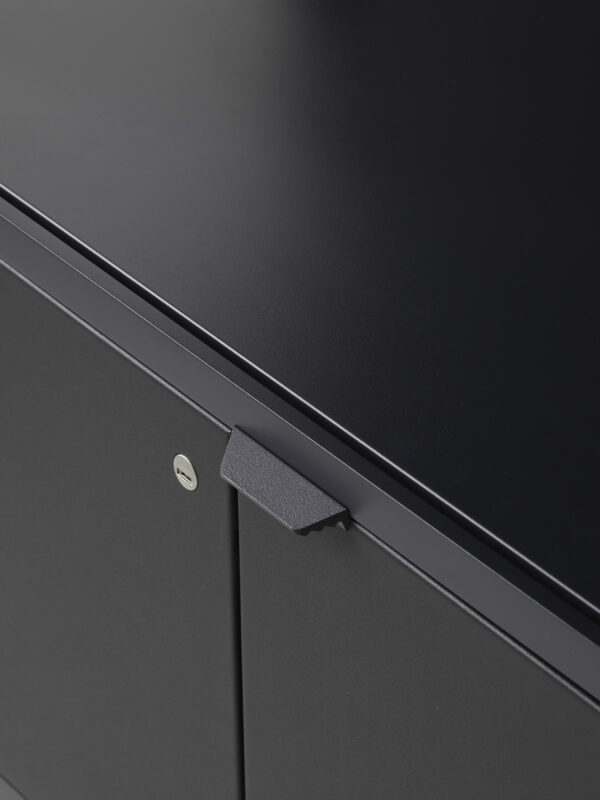 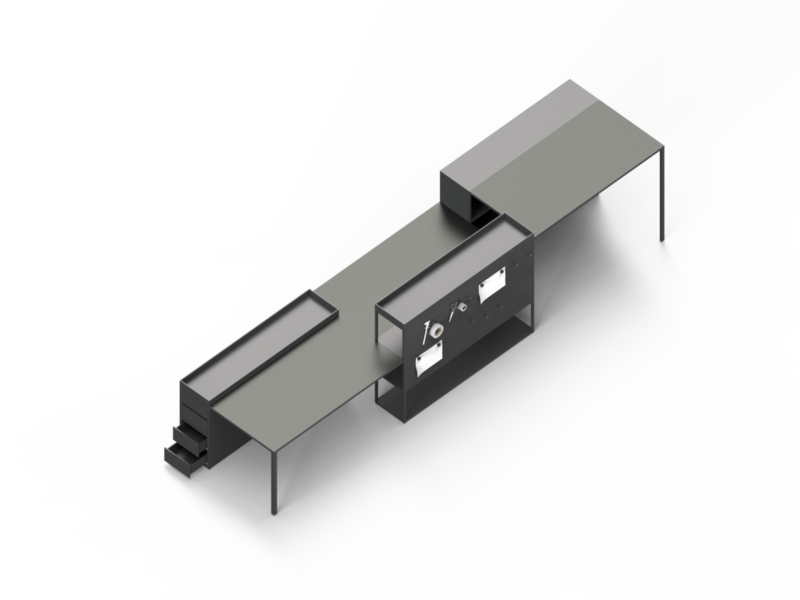 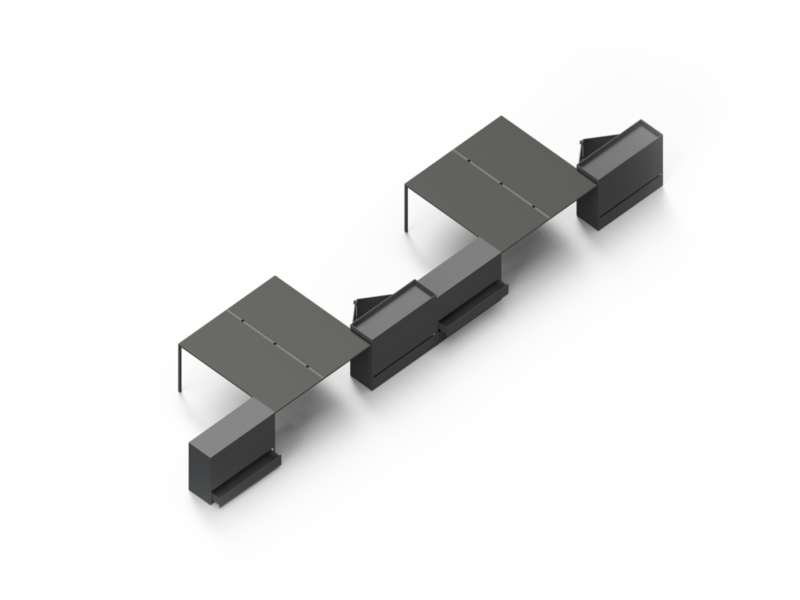 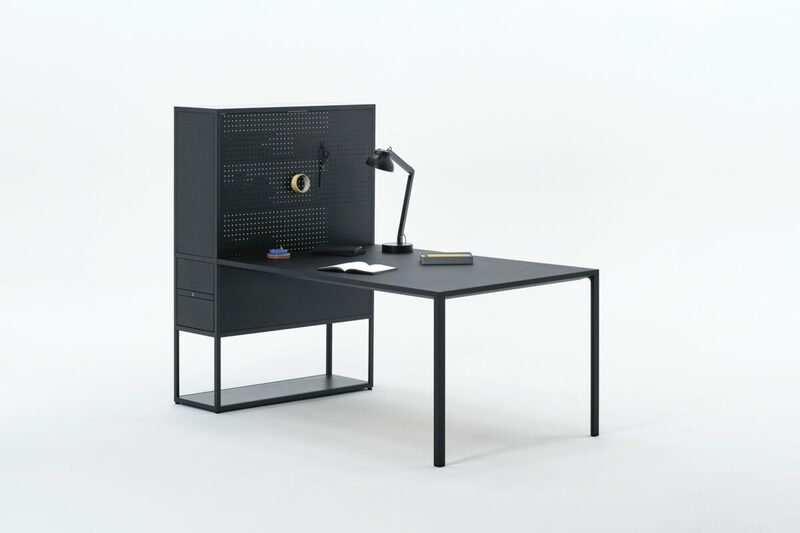 New Order’s table system is equipped with single and double leg profiles, facilitating both minimal desk solutions and larger set-ups for team-based work and study groups, as well as fulfilling the requirements of conference rooms.